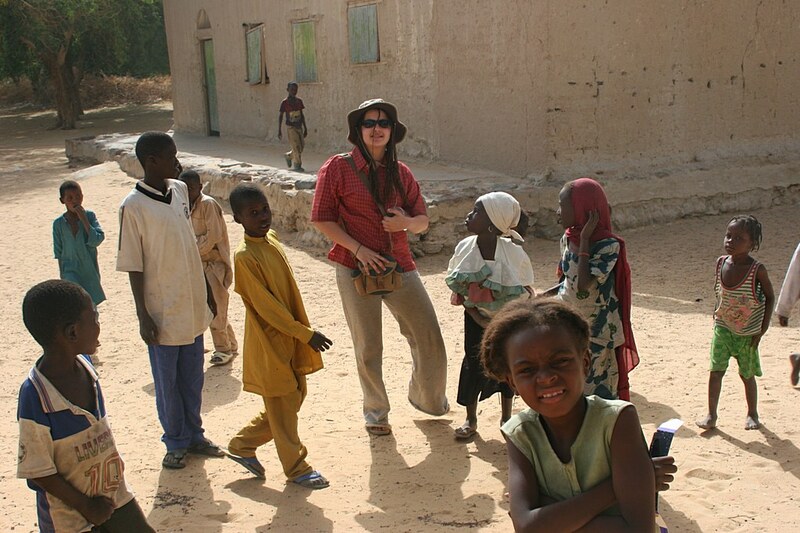 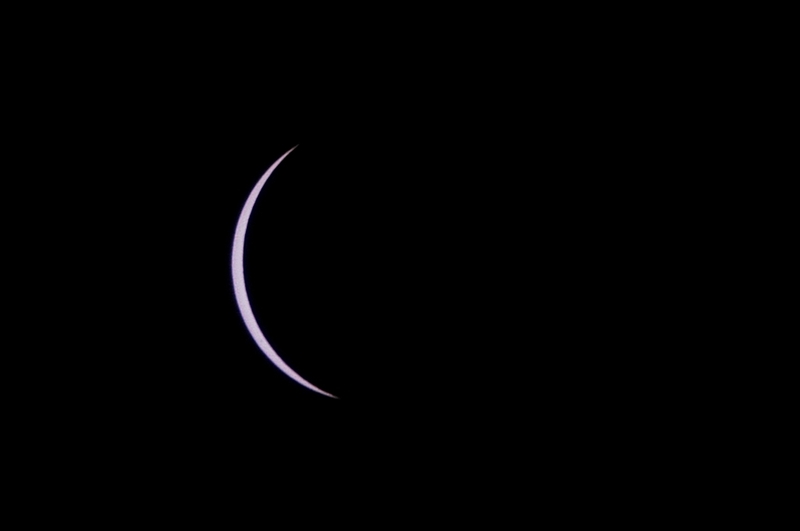 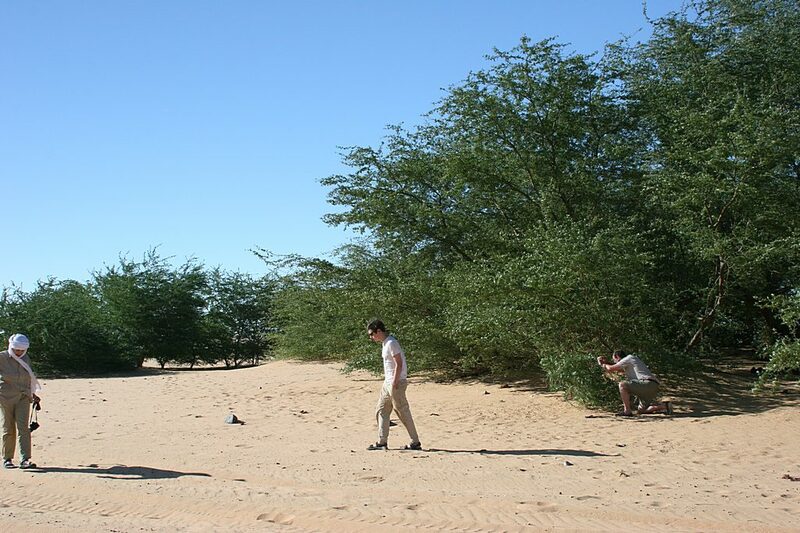 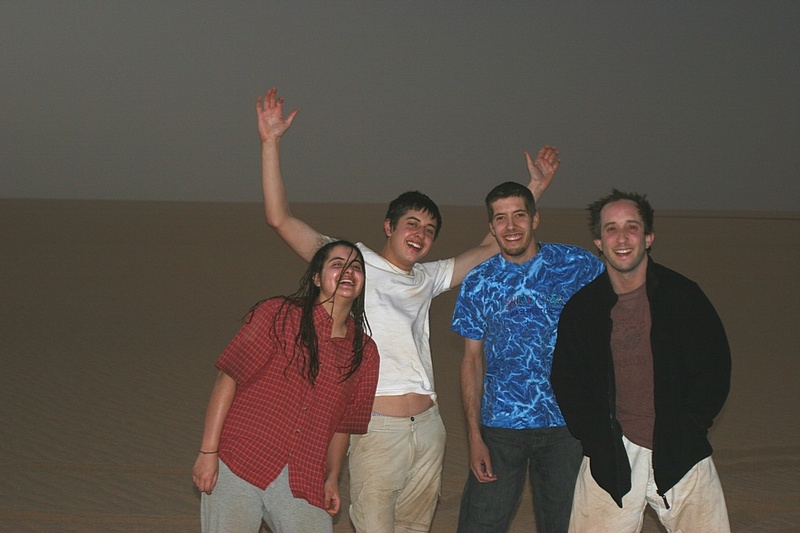 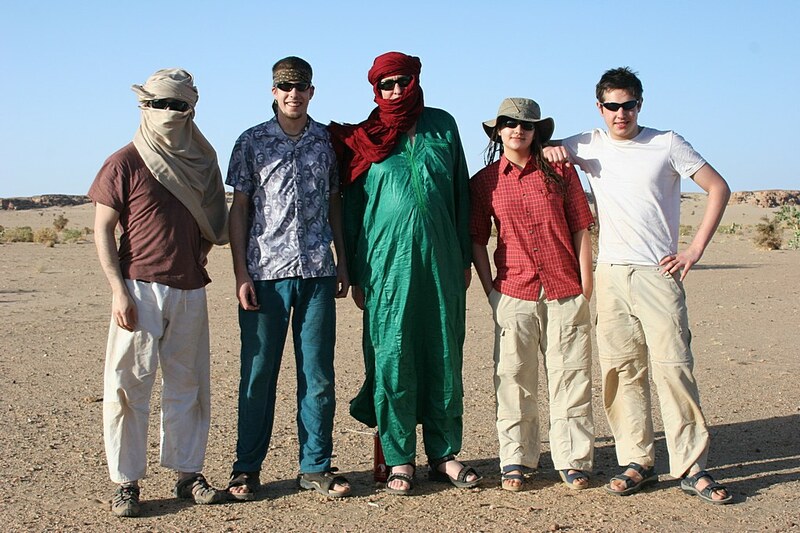 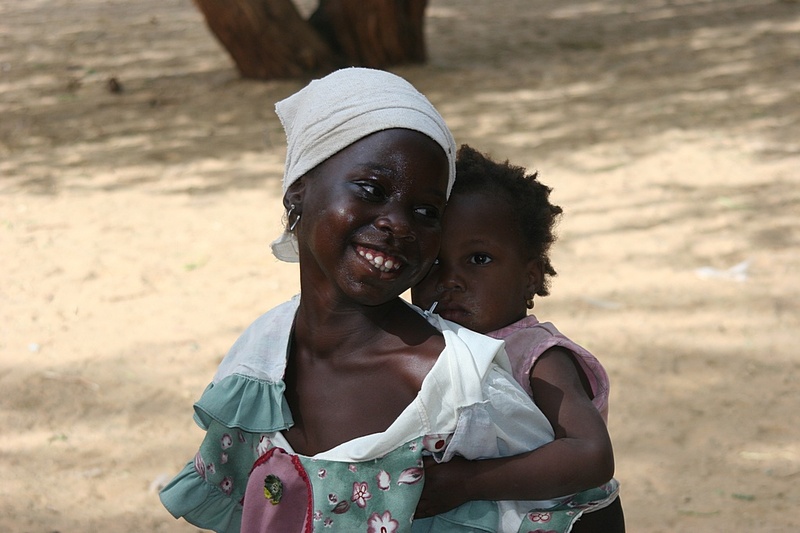 In March 2006 I travelled with my children George, James, Tom and Ruth to the Western African Republic of Niger to observe a total eclipse of the sun. 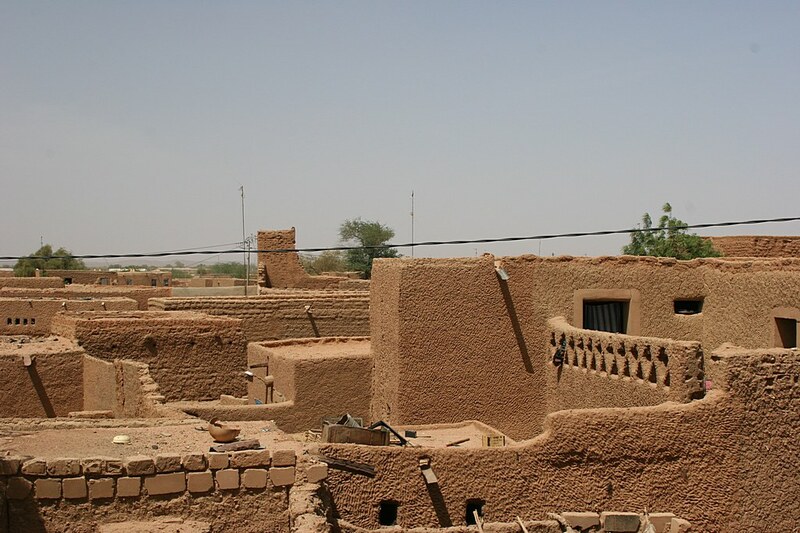 Niger is a landlocked country approximately 5 times the size of the United Kingdom, but with a population less than a quarter of the UK's. 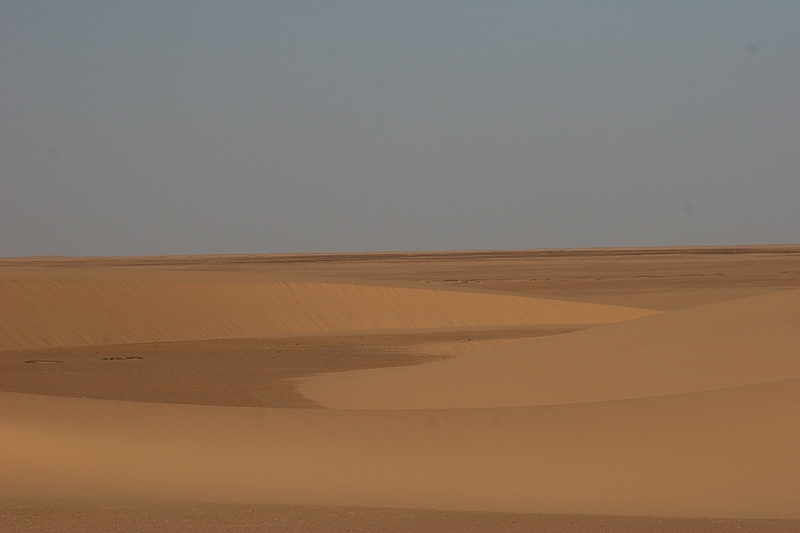 The reason for this is that about 80% of the country is covered by the Sahara Desert. 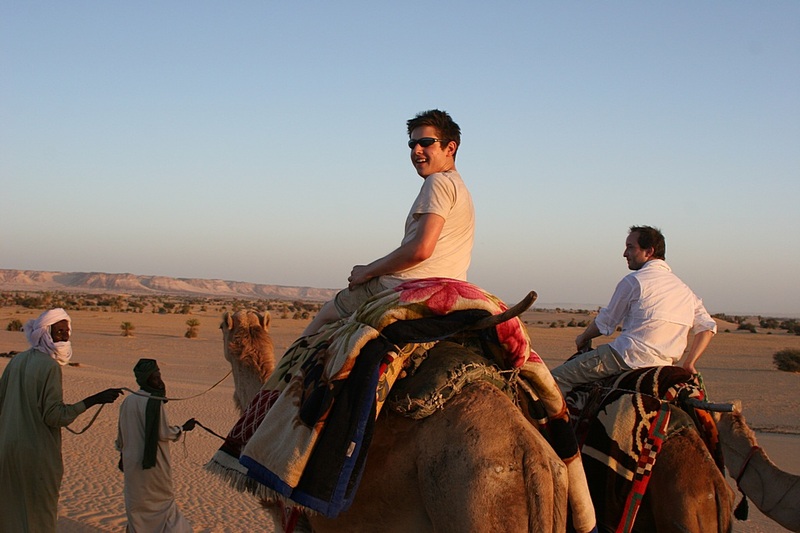 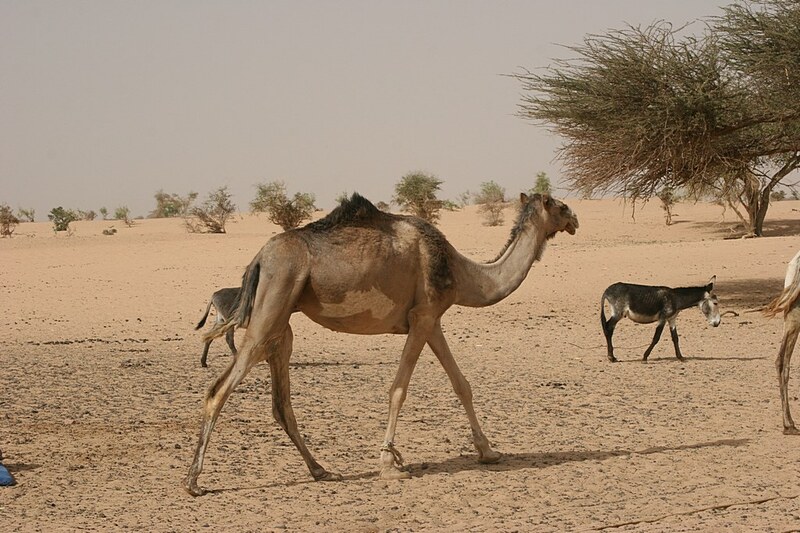 The tradtional mode of transport in the desert is using single humped camels sometimes known as Arabian Camels or Dromedaries which are remarkably adapted for survival in the desert. 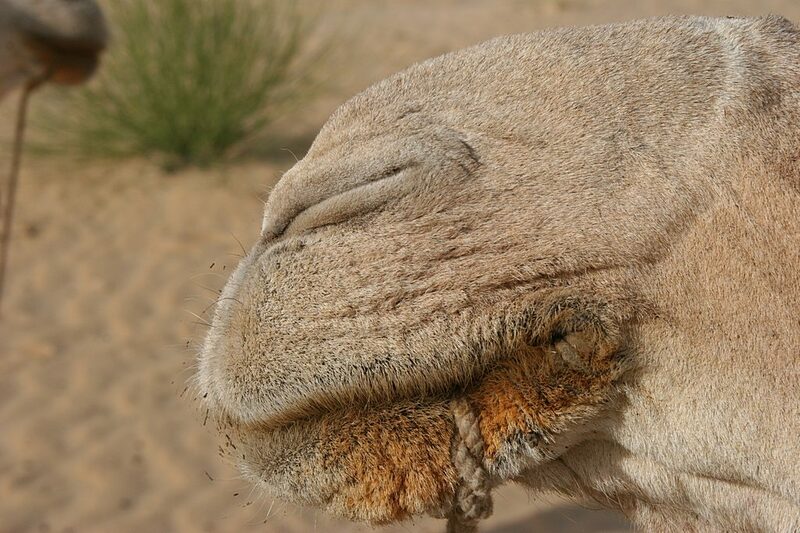 They have a double row of eyelashes for protection against blowing sand and can close their nostrils to prevent sand entering their nose. 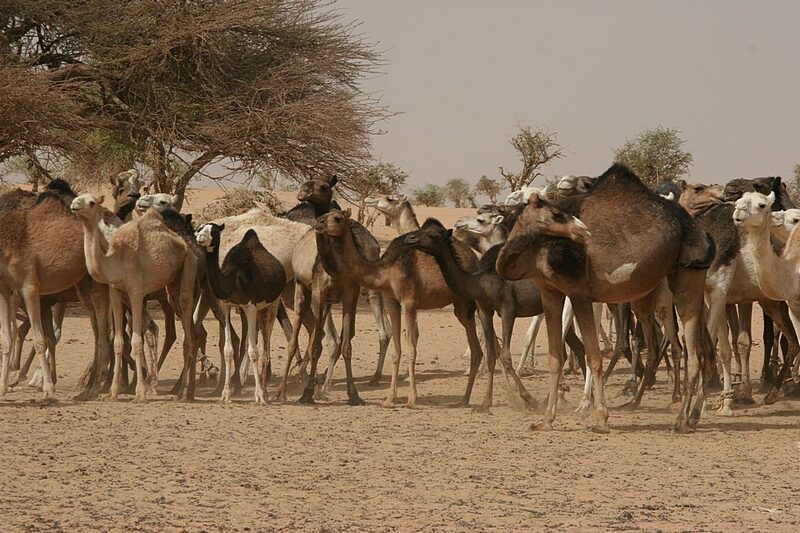 They conserve water in a variety of ways one of which is by fluctuations in their body temperature from 34 degrees to 42 degrees. 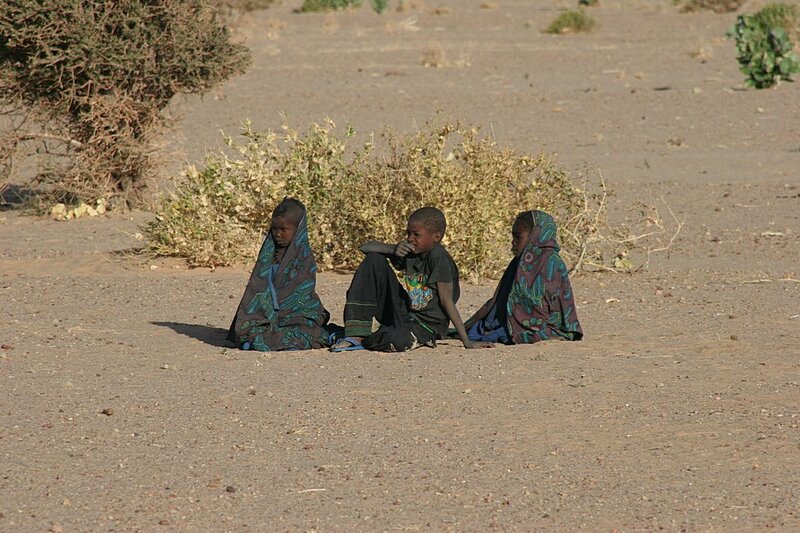 This has the effect of enabling them not to sweat as the temperature rises. 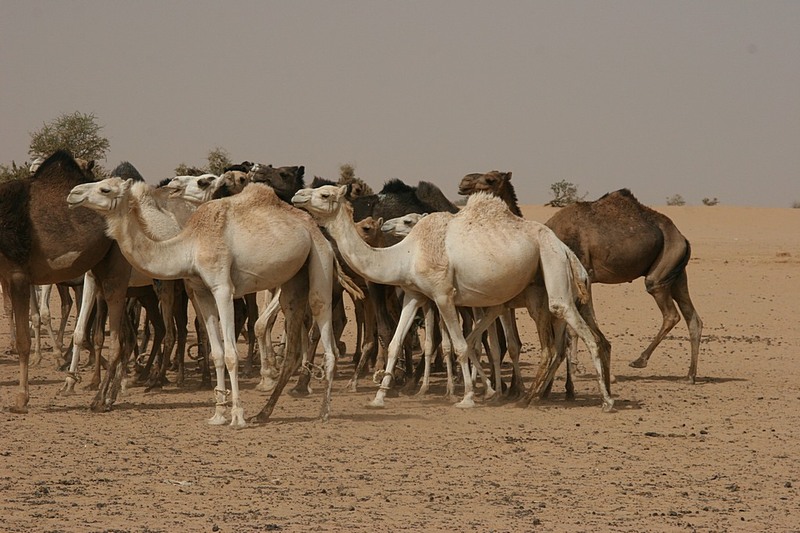 They avoid excess heat by pressing against each other in a huddle which is a fascinating parallel to the way Emperor penguins use the same technique to preserve heat. 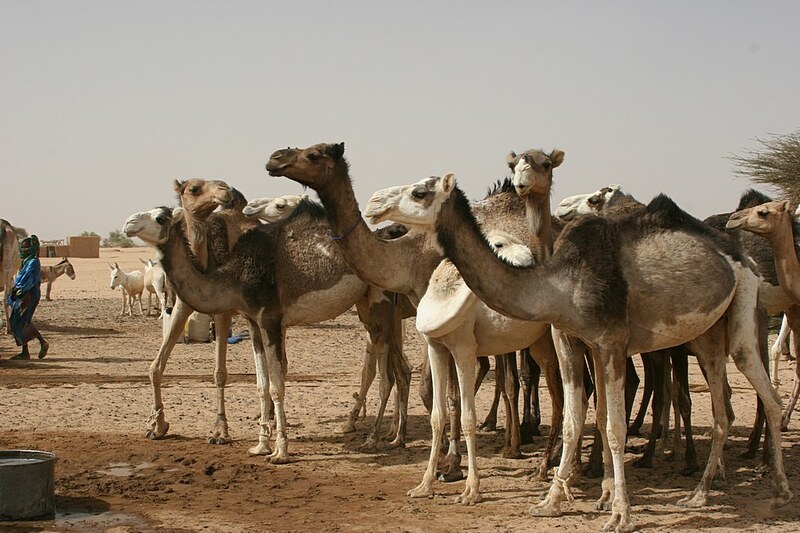 They can tolerate a decrease of 30% of their bodyweight through water loss – which would be lethal for any other mammal and can rehydrate by drinking an incredible 100 litres of water in just 10 minutes. 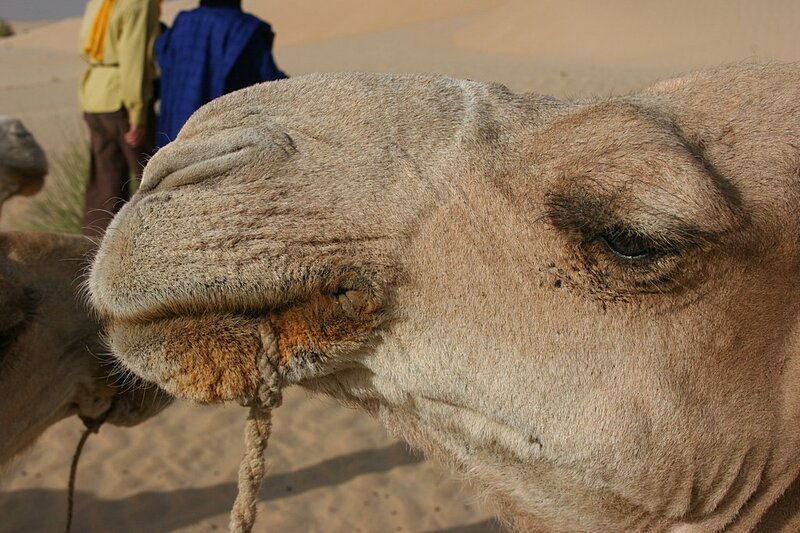 They require large amounts of salt – up to 8 times as much as other mammals. 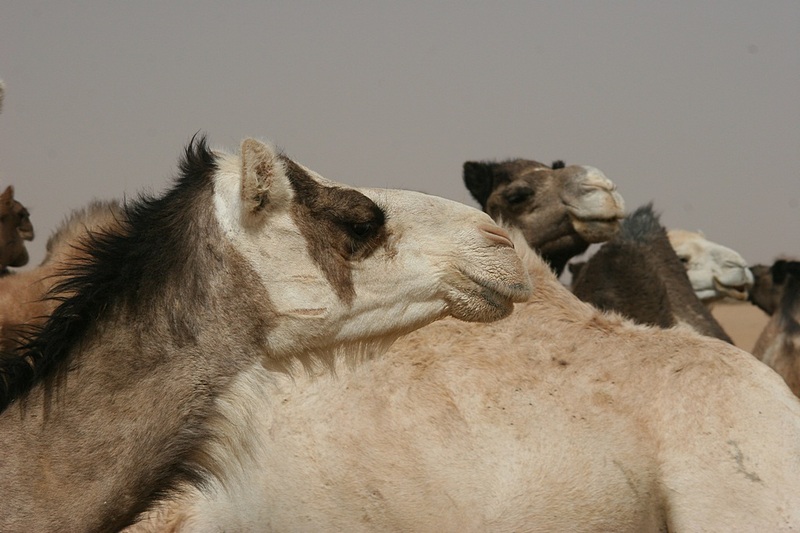 Their hump actually contains fat reserves, not water as sometimes believed. 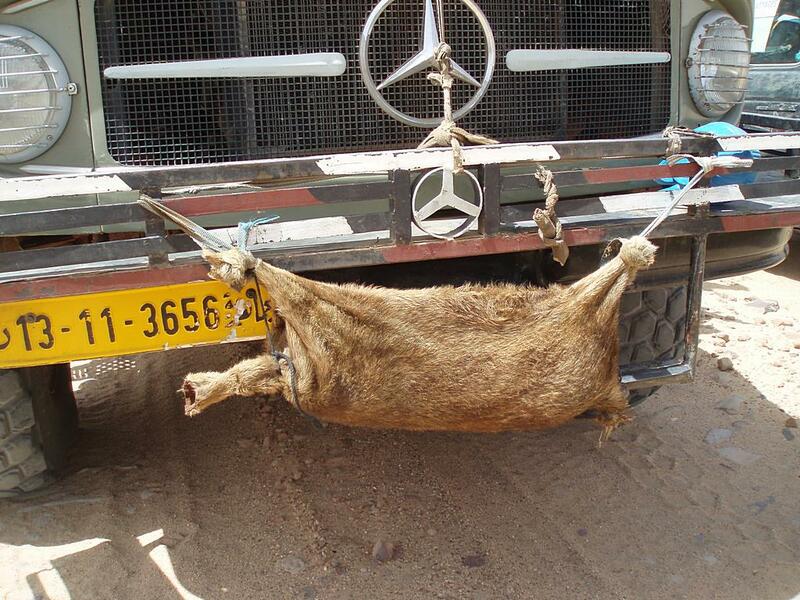 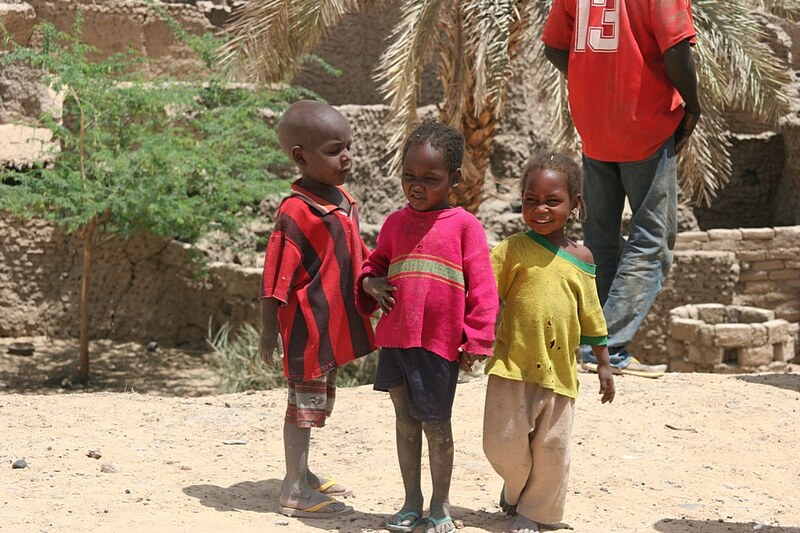 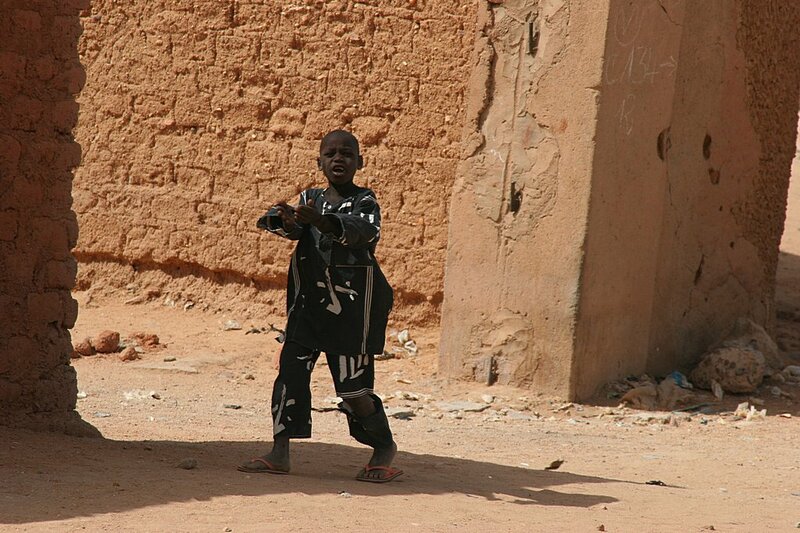 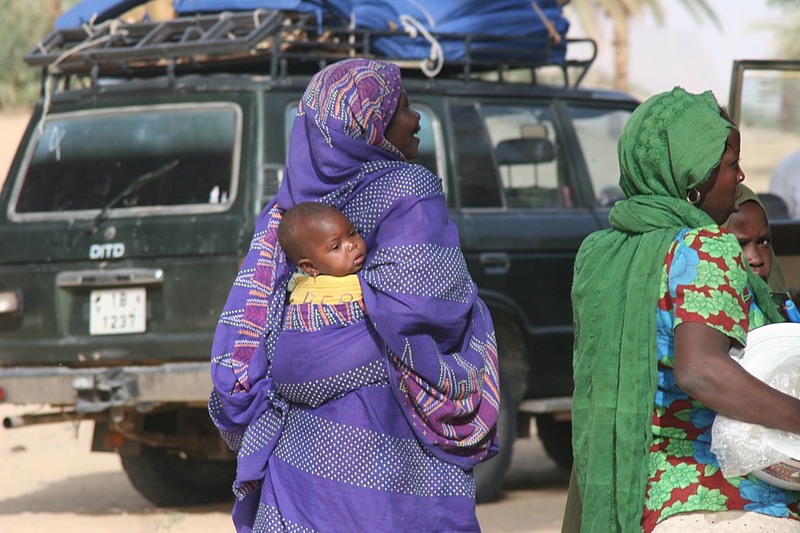 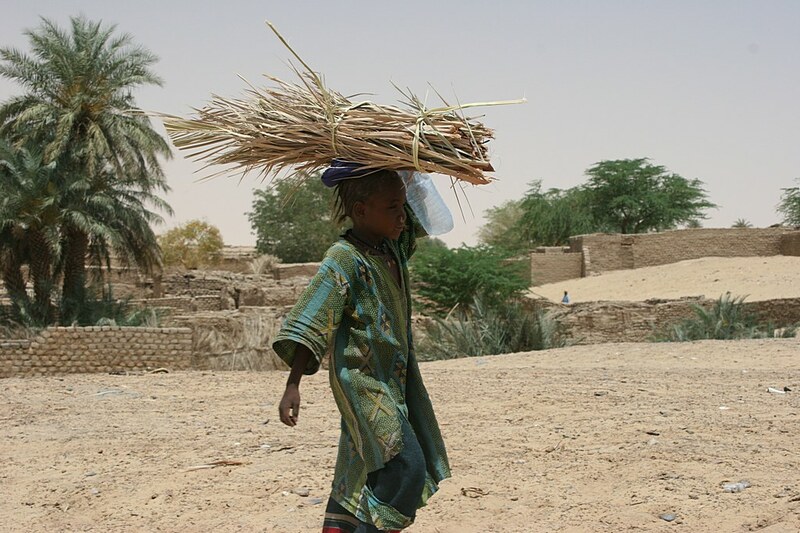 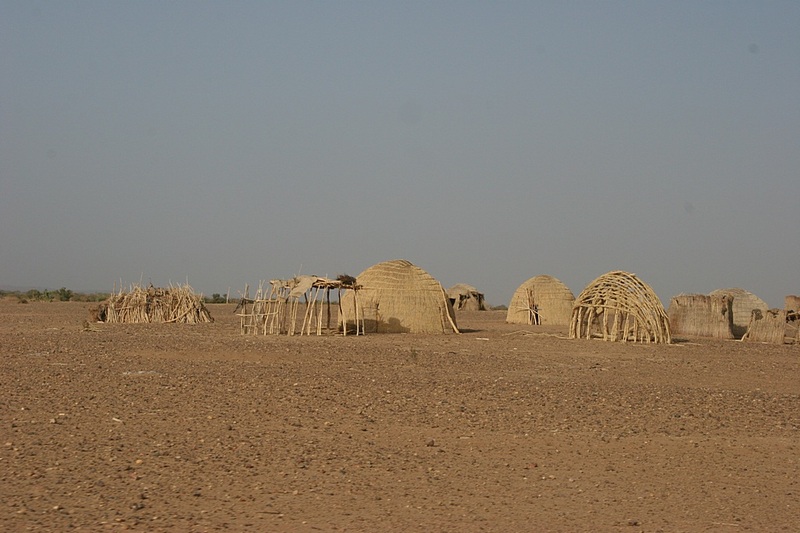 Our journey commenced in the city of Agadez. 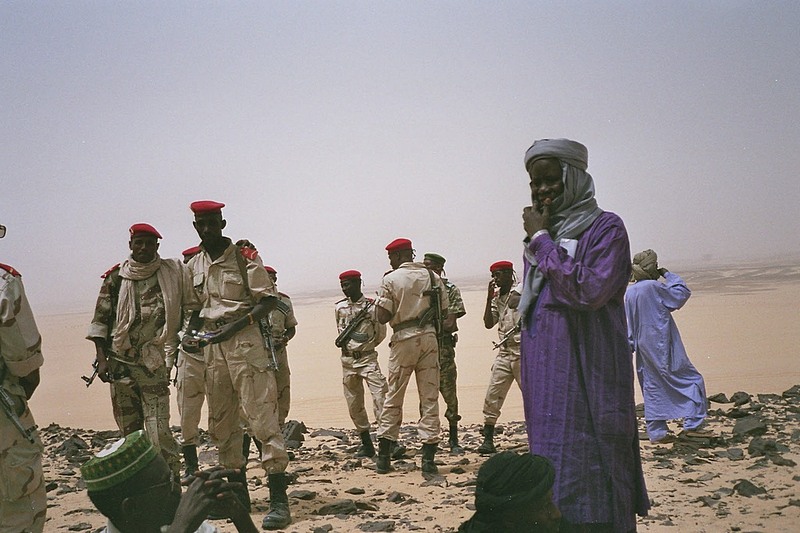 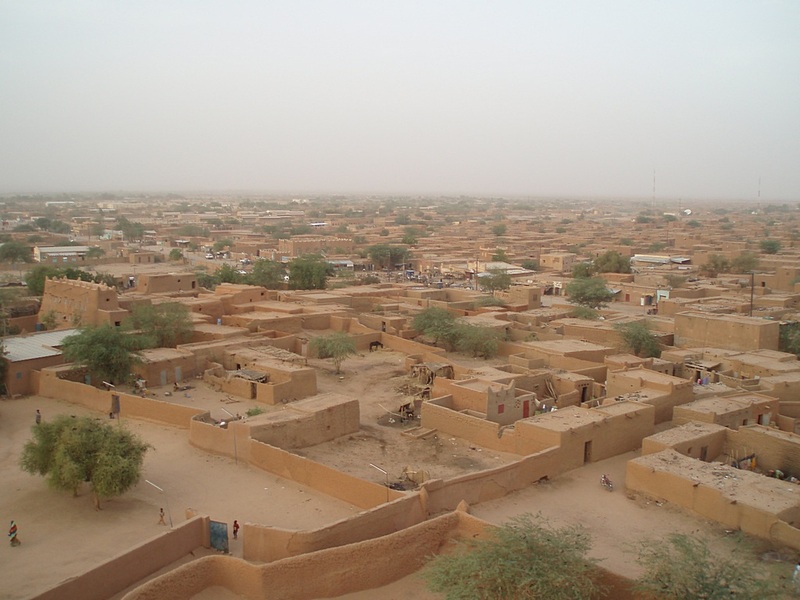 This is a large desert town in central Niger which is mostly populated by the Tuareg (one of about 10 different Saharan ethnic groups). 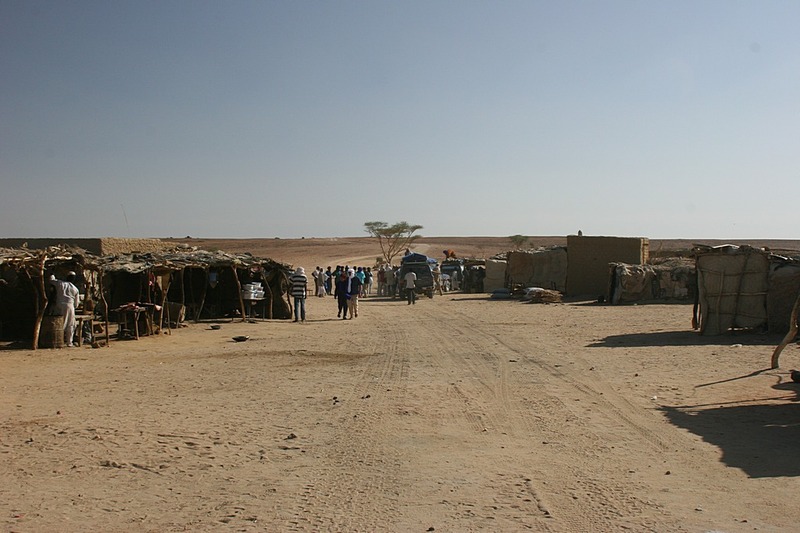 It has a total population of about 90,000. 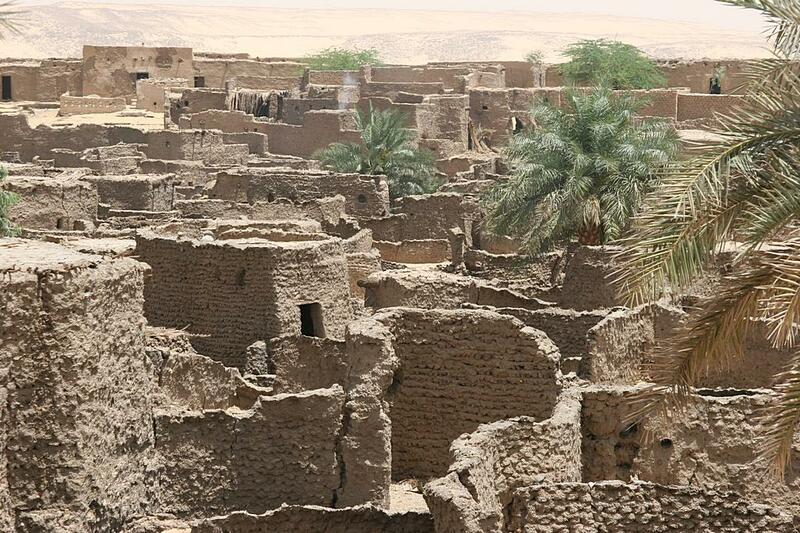 Our destination was Bilma, an oasis town in the middle of the desert, which was about 400 miles away towards the East. 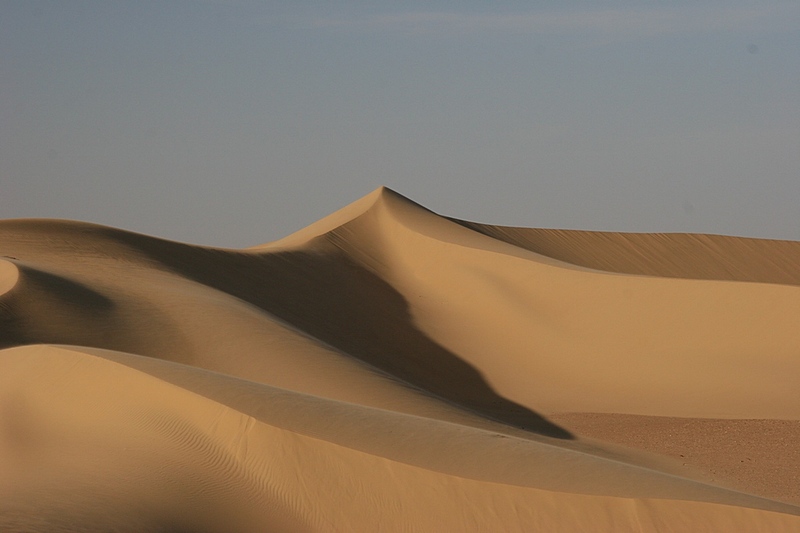 This crosses one of the fiercest, but most attractive, parts of the Sahara desert; The Tenere. 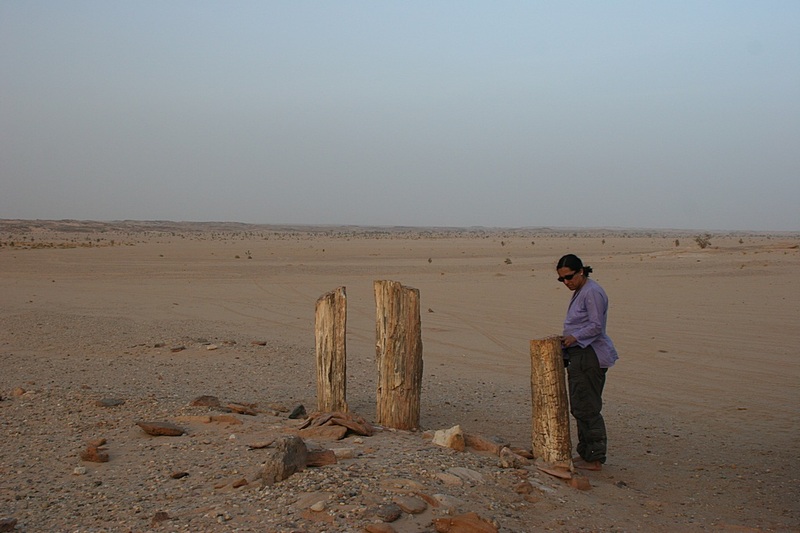 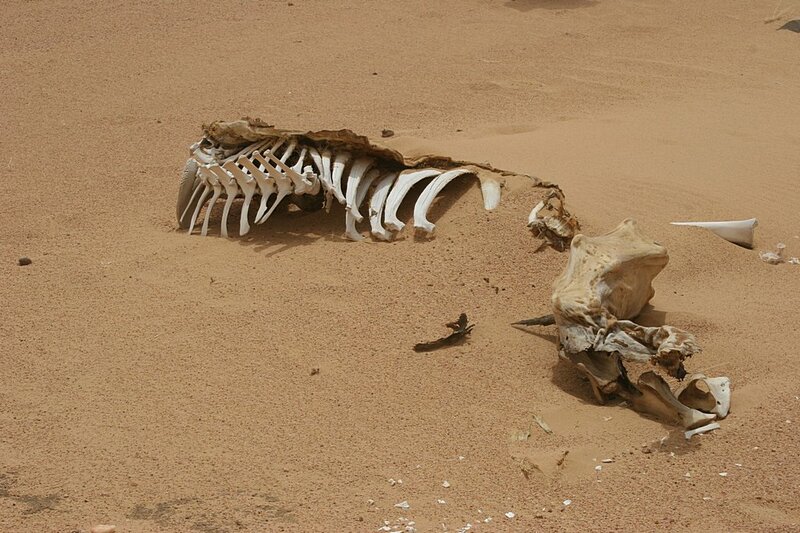 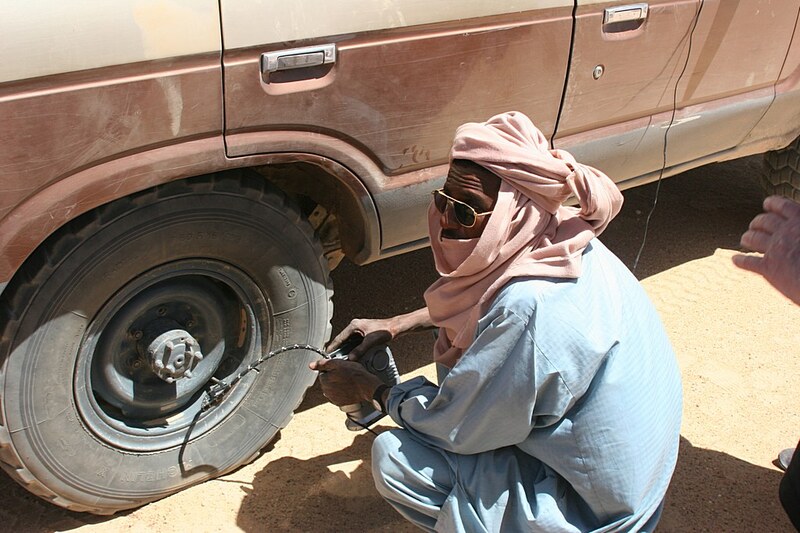 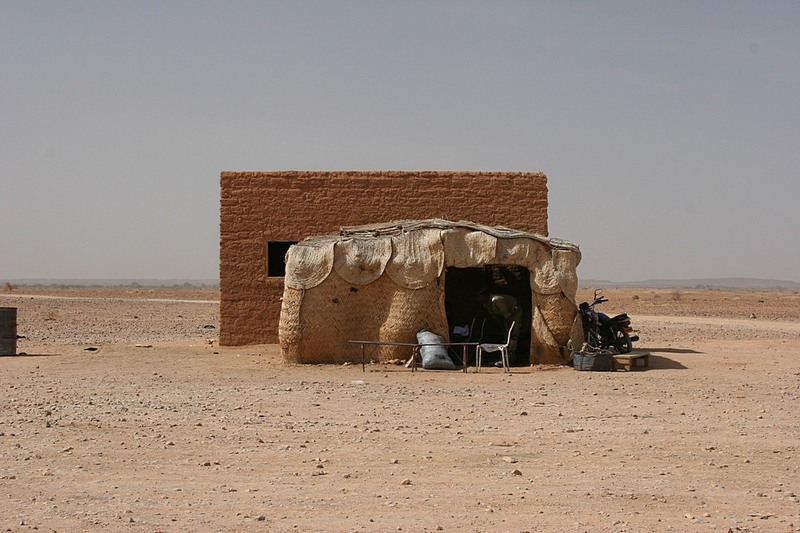 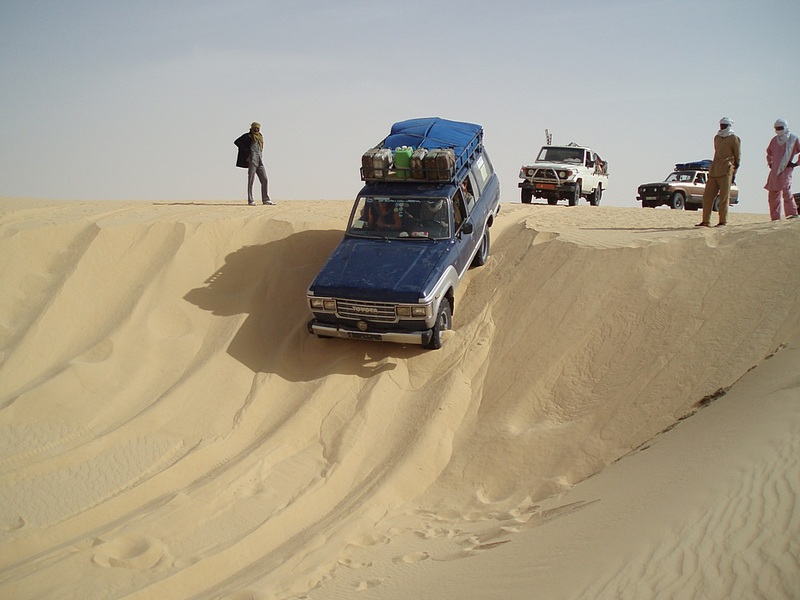 Although there are no roads or railways, the route if a famous one for the Tuareg. 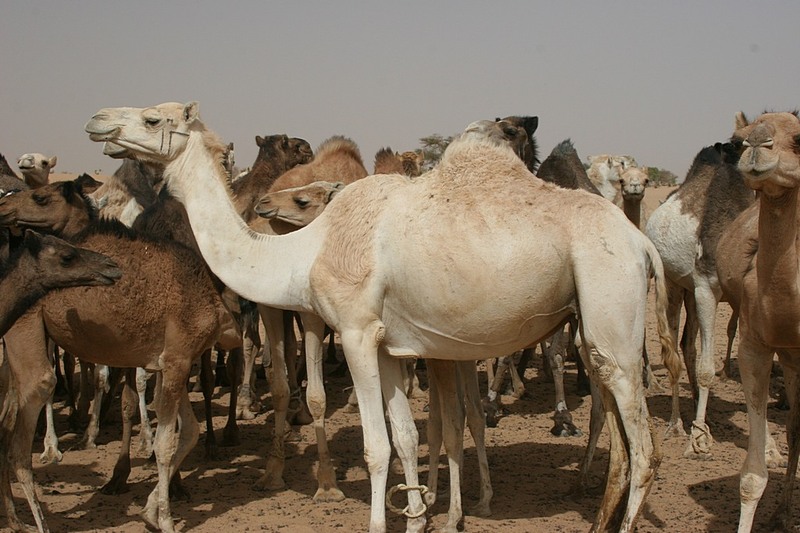 For centuries they have made the 15 day journey by camel caravan (up to 10,000 camels in a single caraven) in order to trade for the high quality salt produced at Bilma. 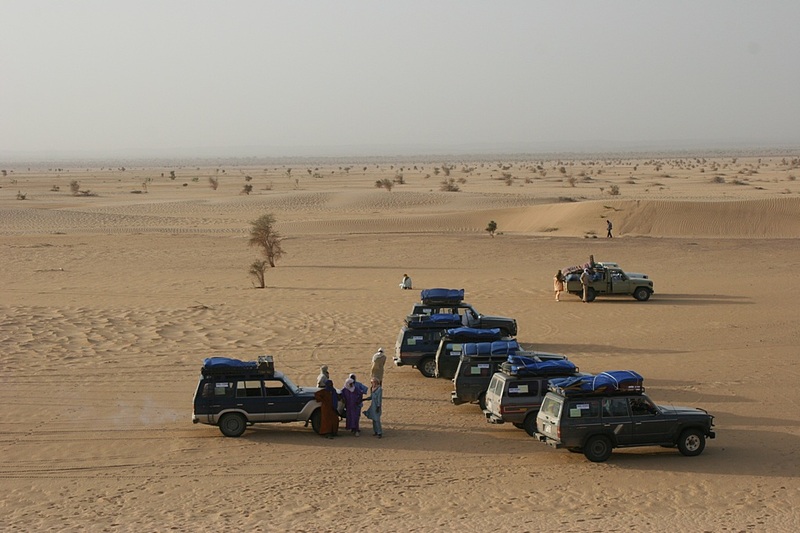 We did not attempt the journey by camel - we used Toyota Land Cruisers and did the journey in 4 days. 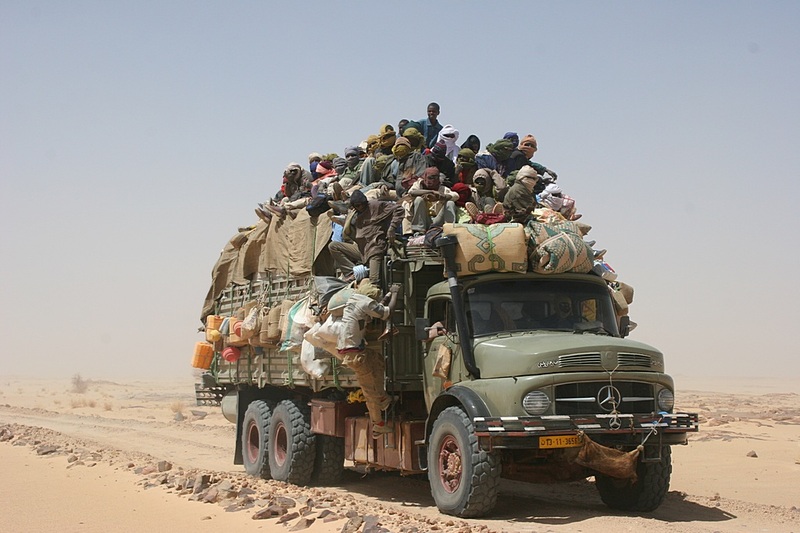 Another option would have been 'public' transport - a large truck which carries people for a relatively small charge - if they can cling on to the top! 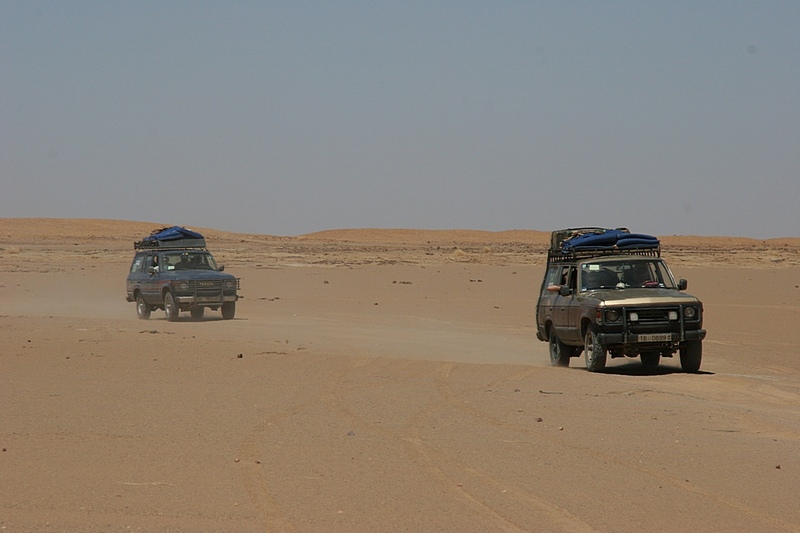 The Tenere is a part of the desert with little vegetation. 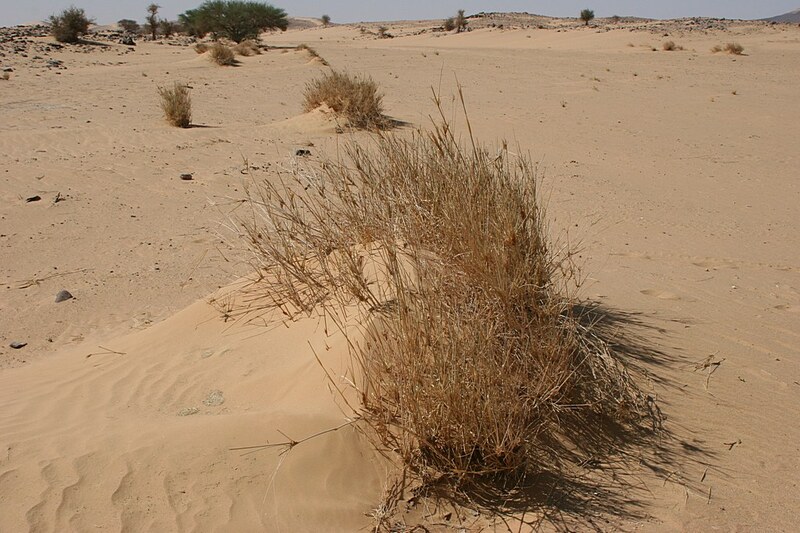 We could see many examples of the struggle which vegetation has to survive in this hostile environment. 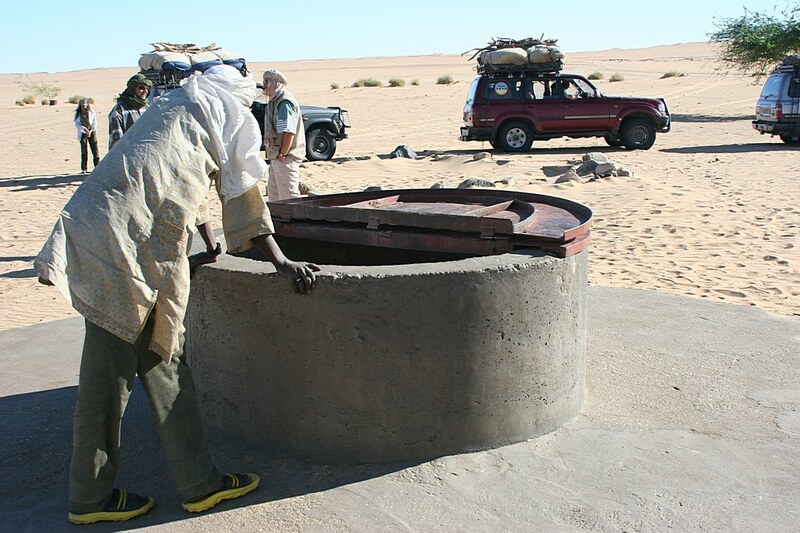 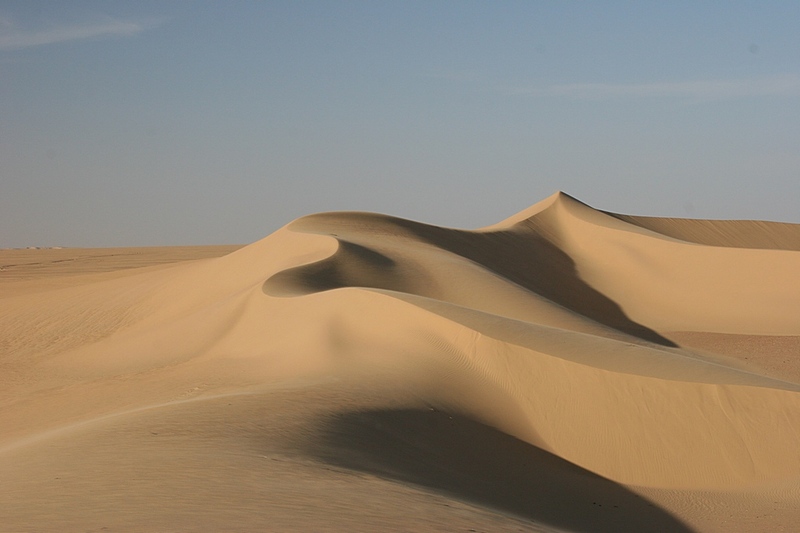 There is water beneath the Sahara but in most places it is too deep to be of any use. 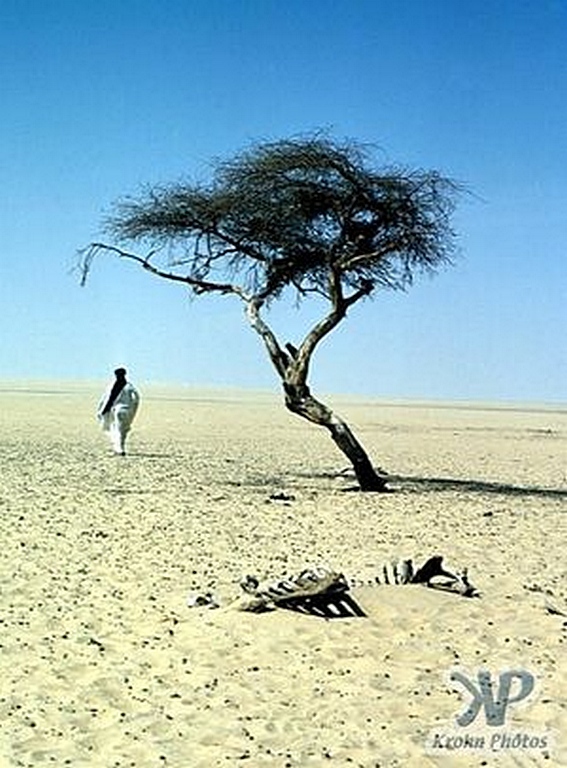 Only when it is near enough to the surface for tree roots to reach would one find an oasis. 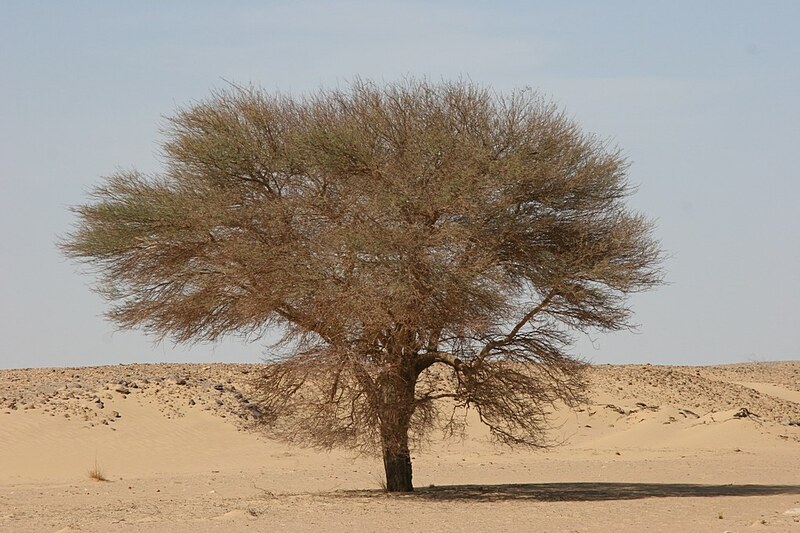 One of the most famous trees was "l'arbre du Tenere". 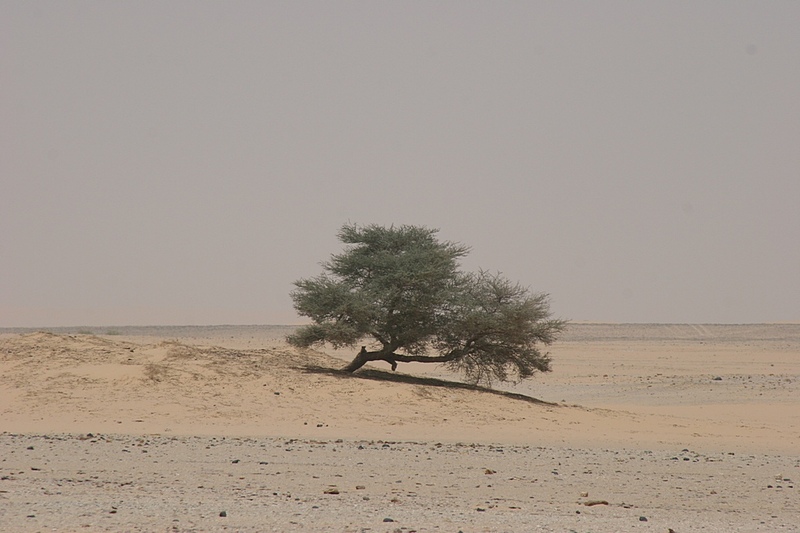 This old acacia used to be the most remote tree in the world; some 250 miles distant from its nearest neighbour. 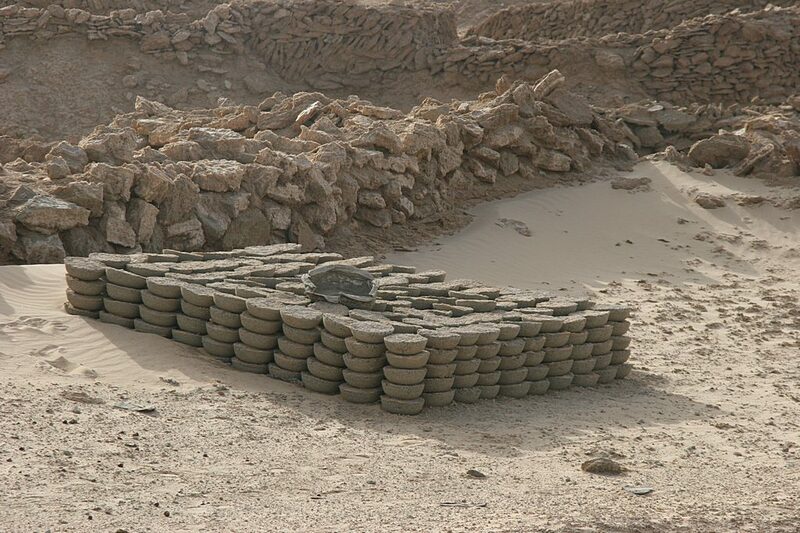 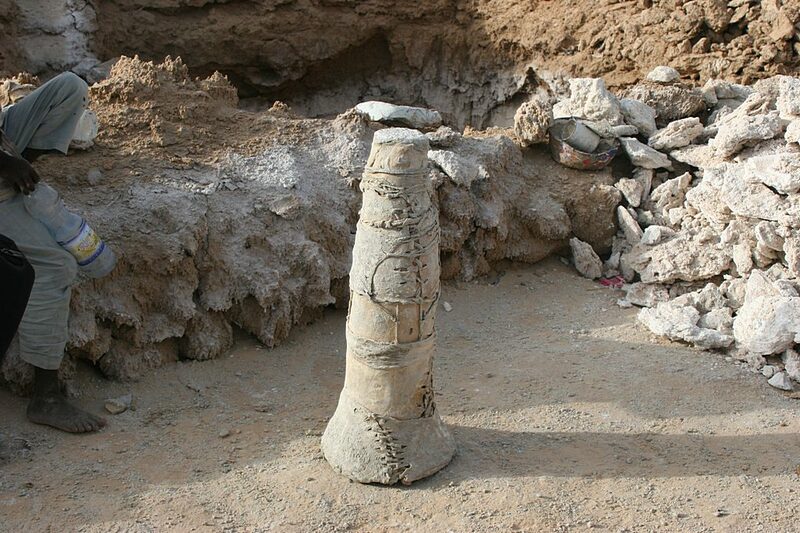 But in the 1970s, a drunken Libyan truck driver ran into it and it was destroyed. 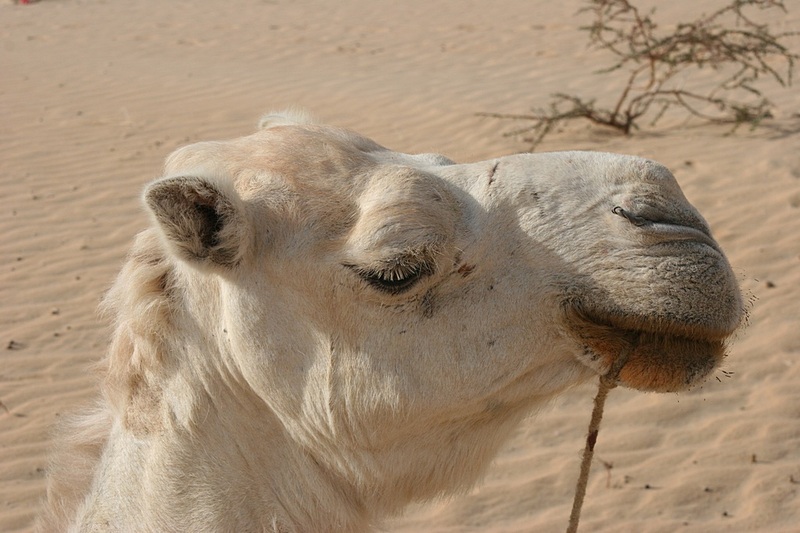 Try telling that to your insurance company! 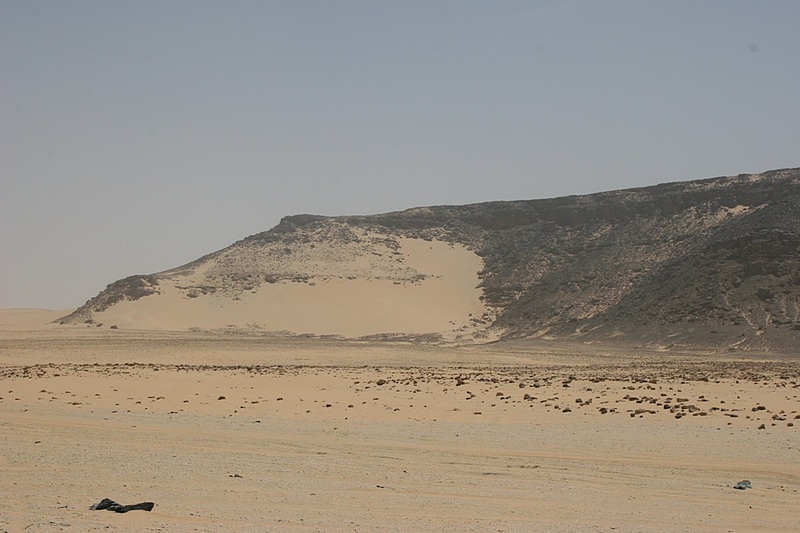 By the end of the first day, we had left behind us all signs of civilisation; the vegetation became more sparse and the oases less frequent. 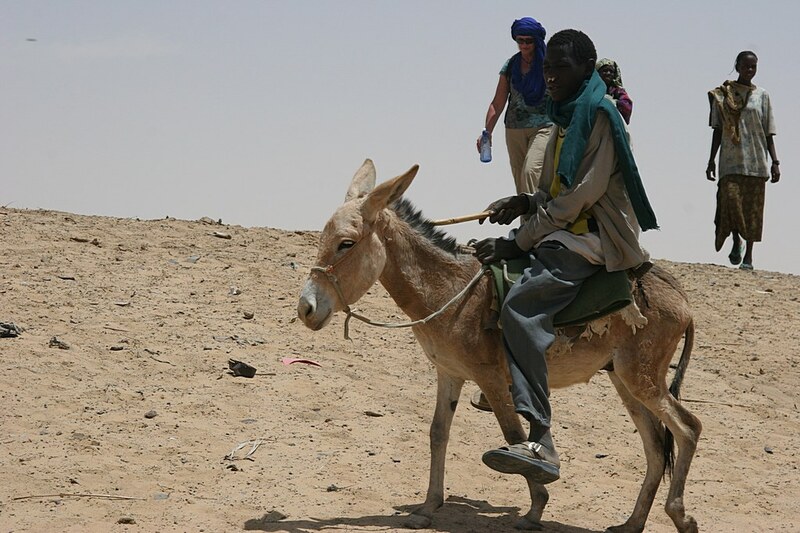 We were in The Tenere. 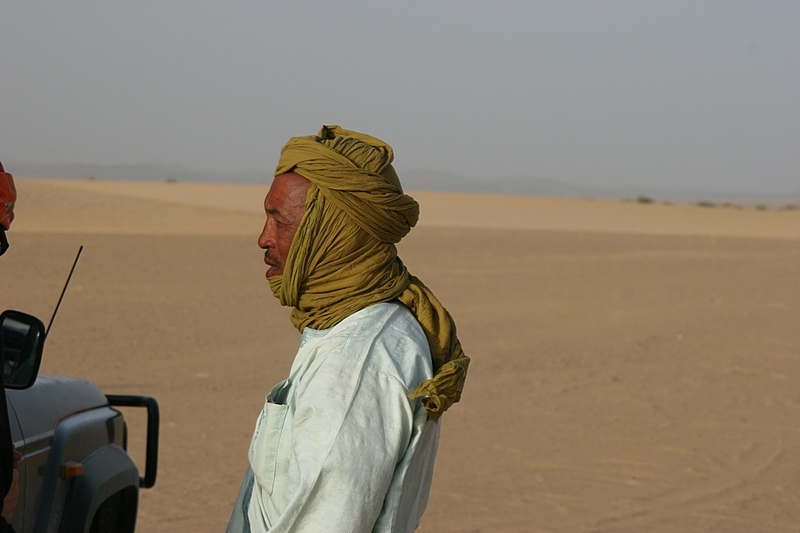 We were crossing the desert by the route taken by the Bilma salt caravans. 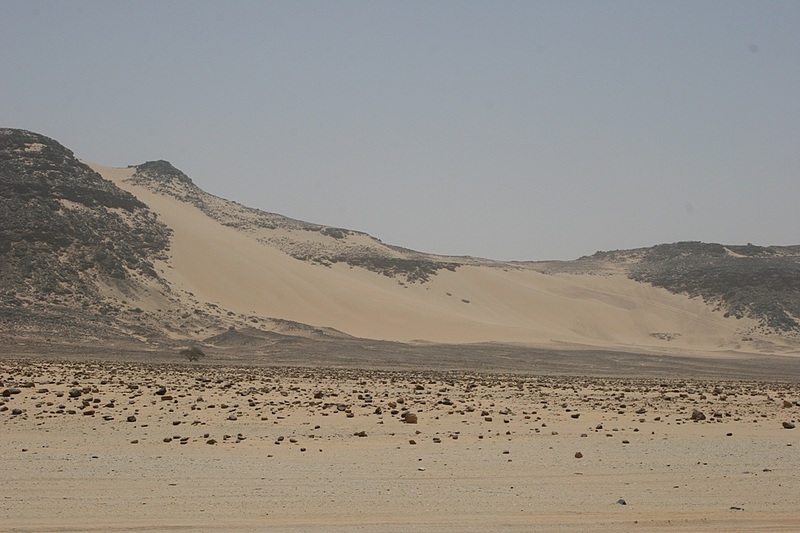 This is known as 'The Azalai Piste' and consists of little more than a route through the desert avoiding rocks, vegetation and soft sand. 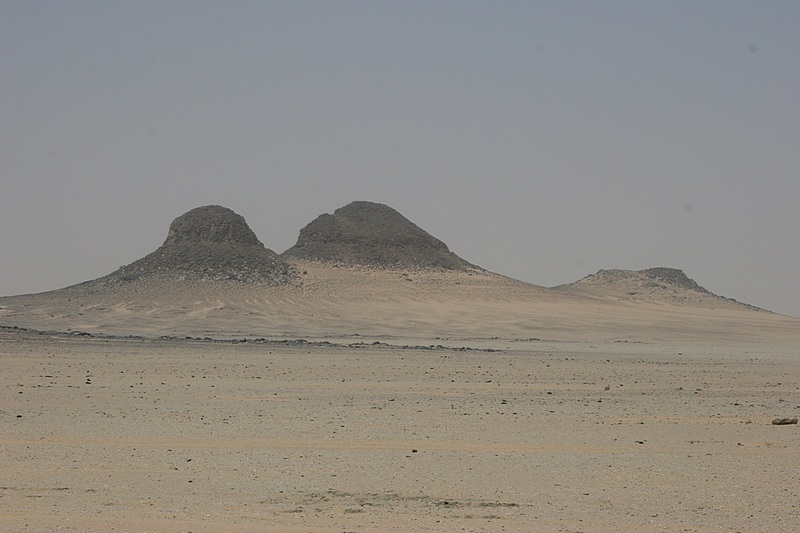 It is not engineered in any way but there are occasional route markers (generally a small pile of tyres) every few miles. 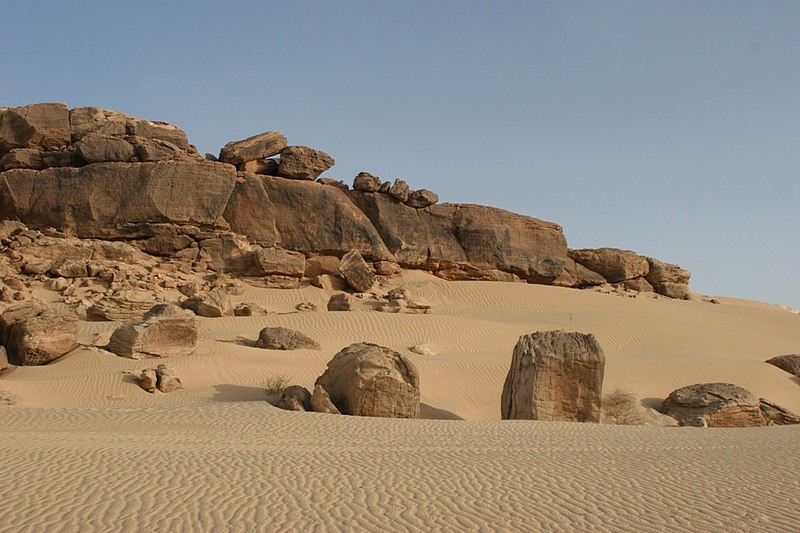 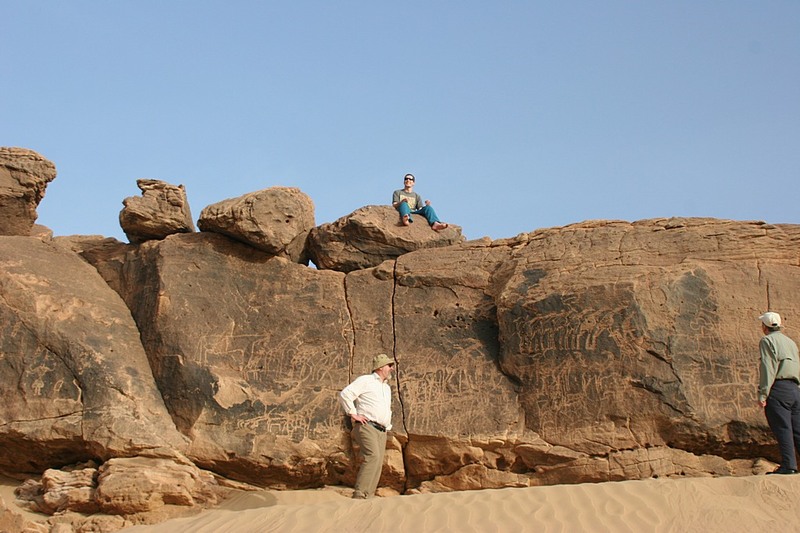 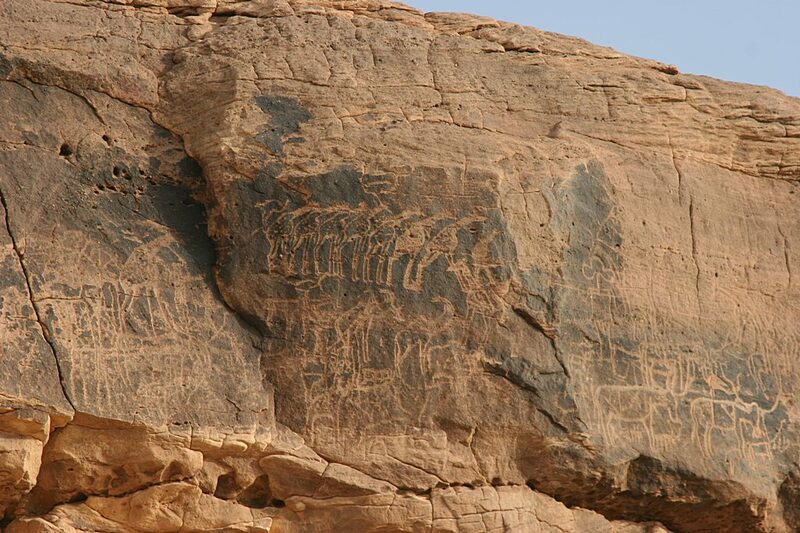 There is evidence here that a few thousand years ago, the area was not desert but was populated by many different types of animal including buffalo and giraffe. 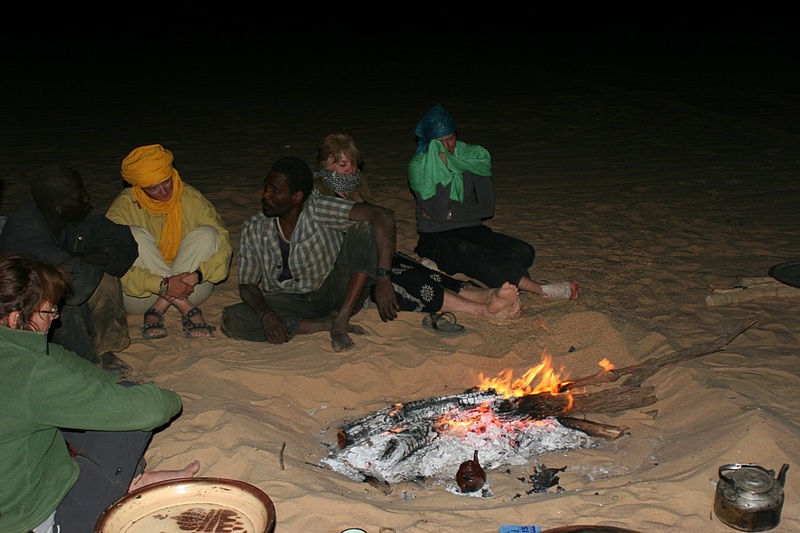 We slept in tents and our food was prepared by our Tuareg guides - and very good it was too. 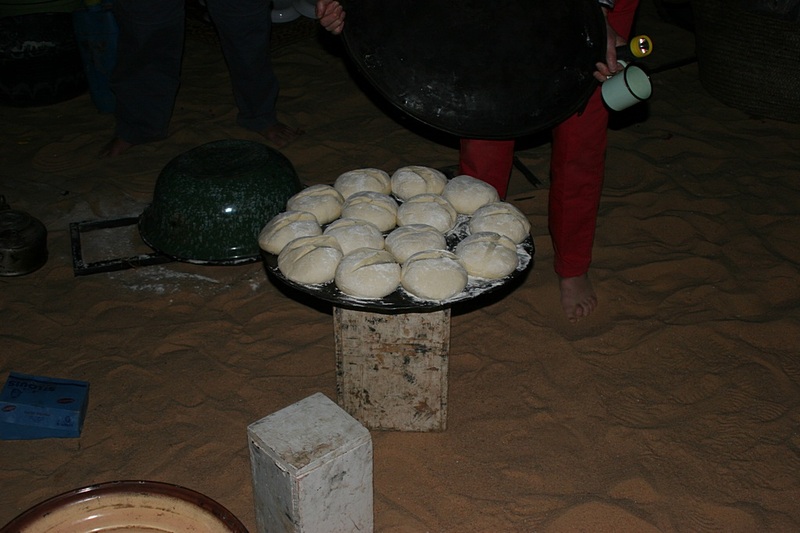 They even baked fresh bread daily using ovens created from the embers of our nightly campfires. 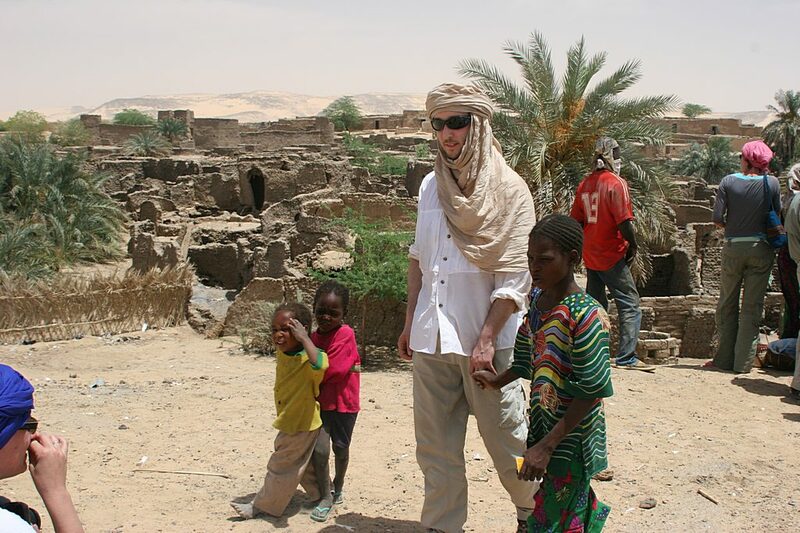 Occasionally our exploits would be witnessed by a small group of bewildered children from a nearly Tuareg encampment. 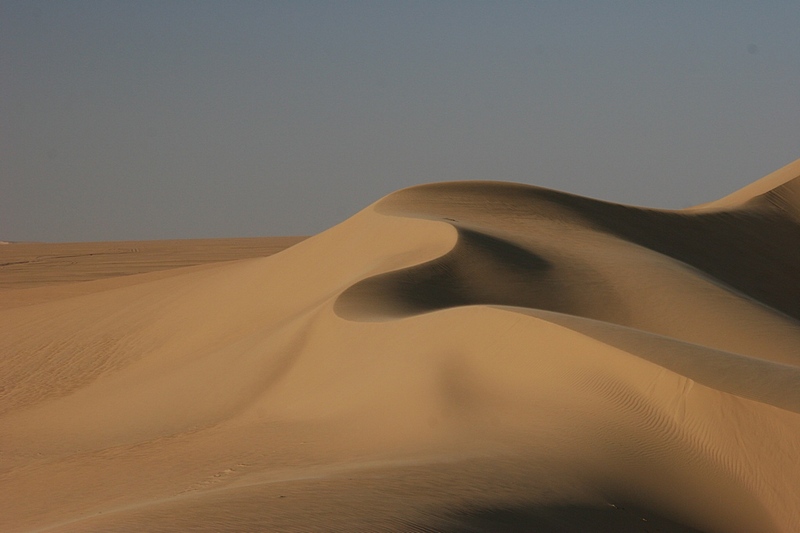 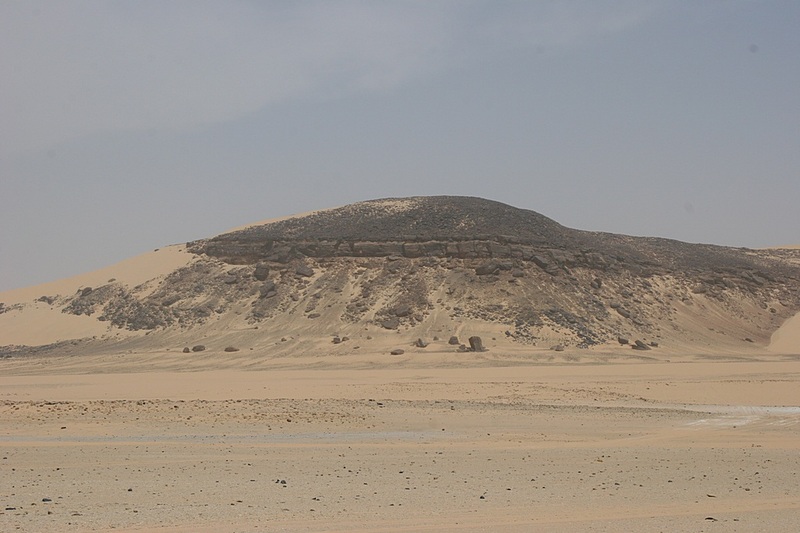 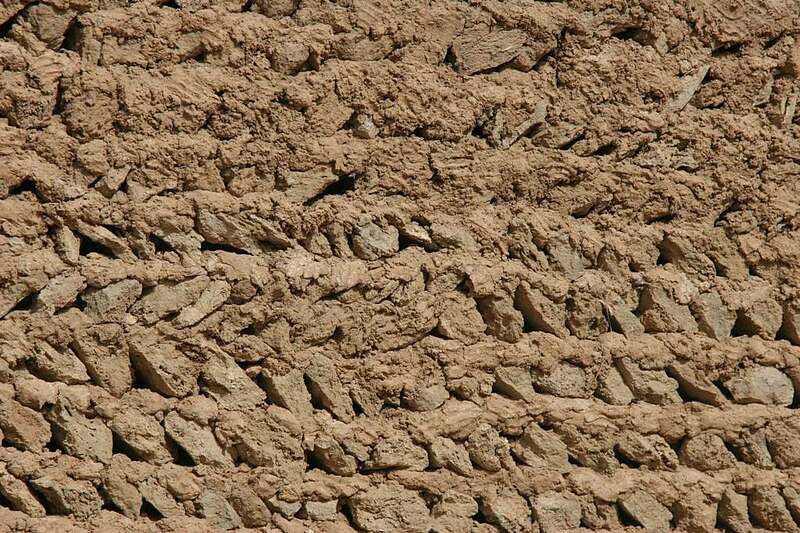 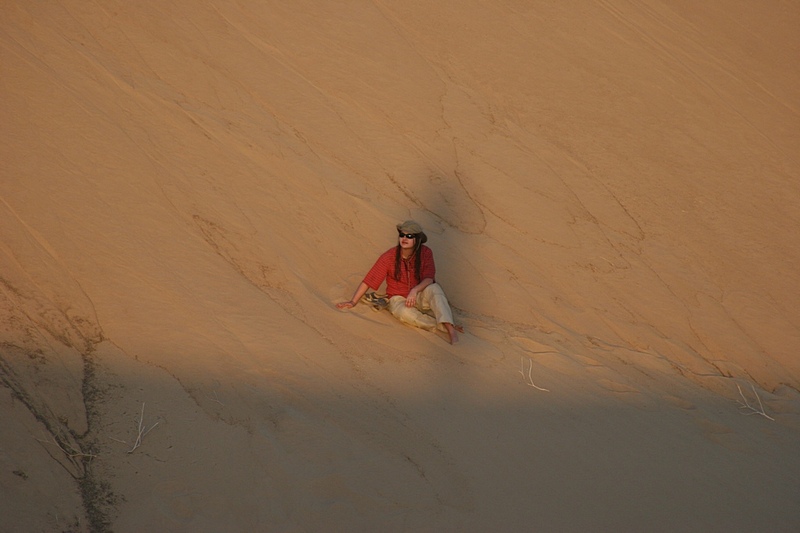 The Tenere desert is typified by 'Ergs' which are shifting sand dunes. 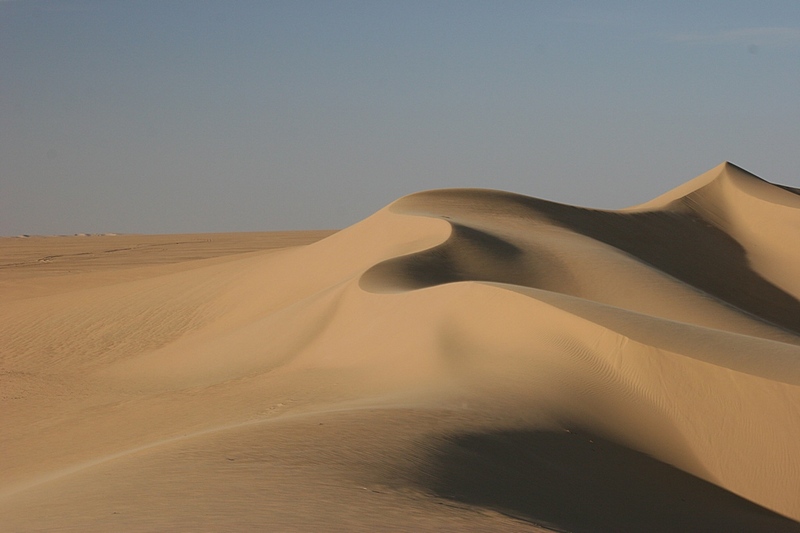 In this part of the desert there is little other than sand and rock. 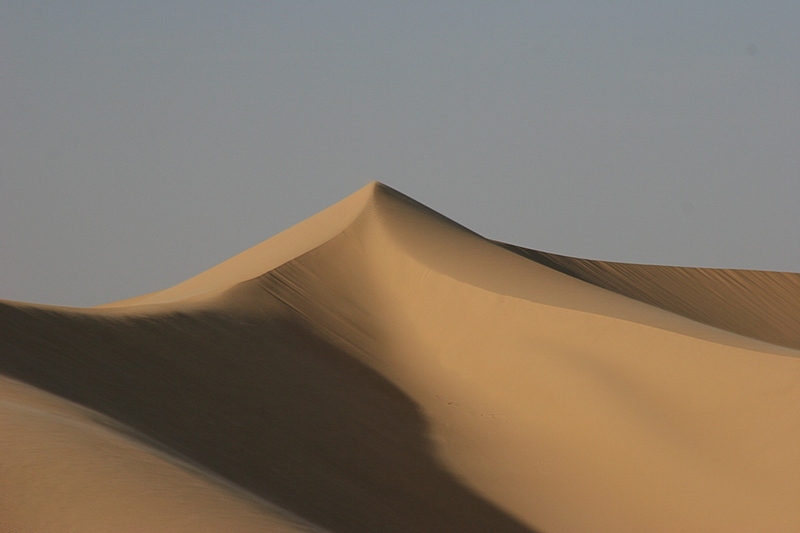 The soft sand is blown up by the winds into huge shifting and beautifully sculpted shapes. 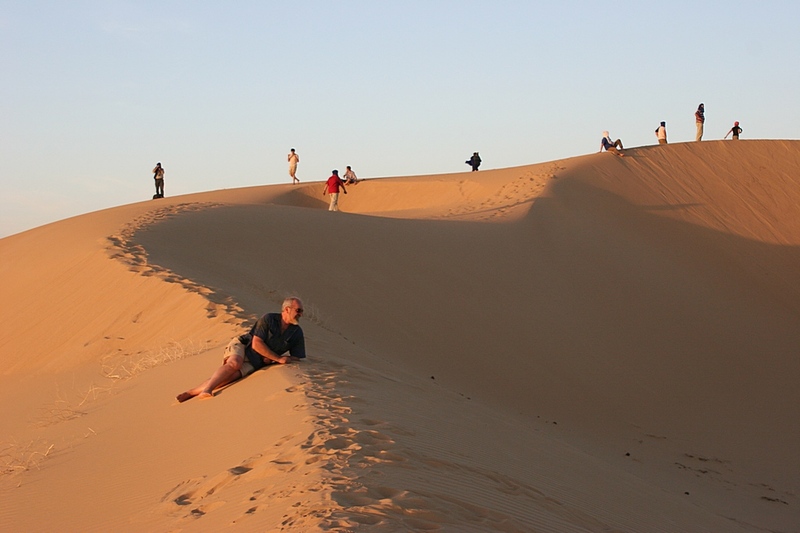 We could walk up the dunes (with some difficulty) and race down them by sinking our heels into the sand and letting gravity do the rest. 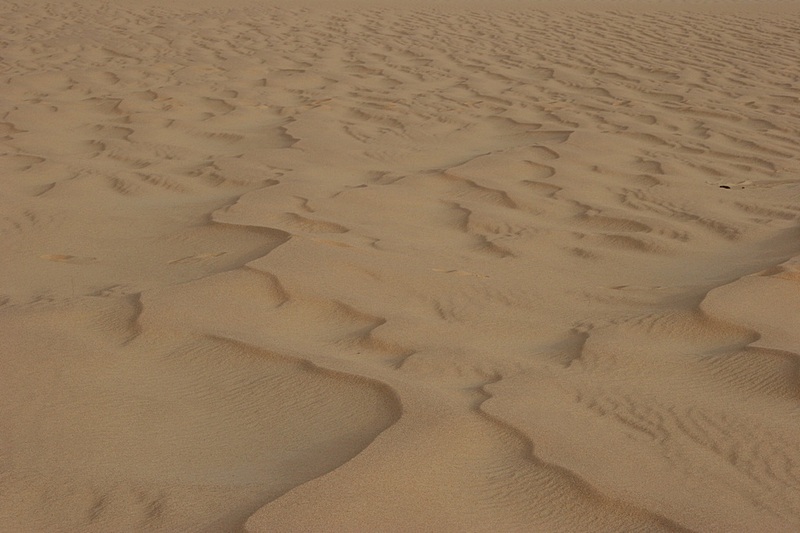 We were not spoiling the landscape with our footprints - the next winds would resculpt these dunes into different shapes. 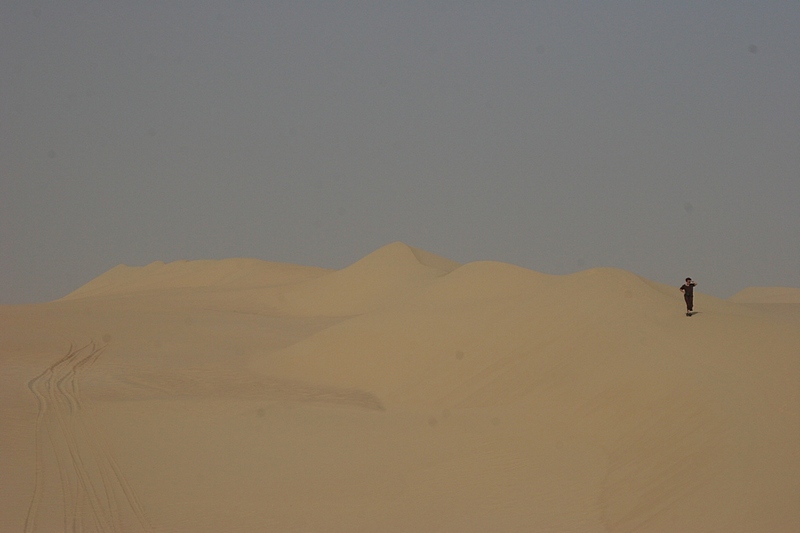 However attractive the dunes, we had to push on as the eclipse would not wait for us. 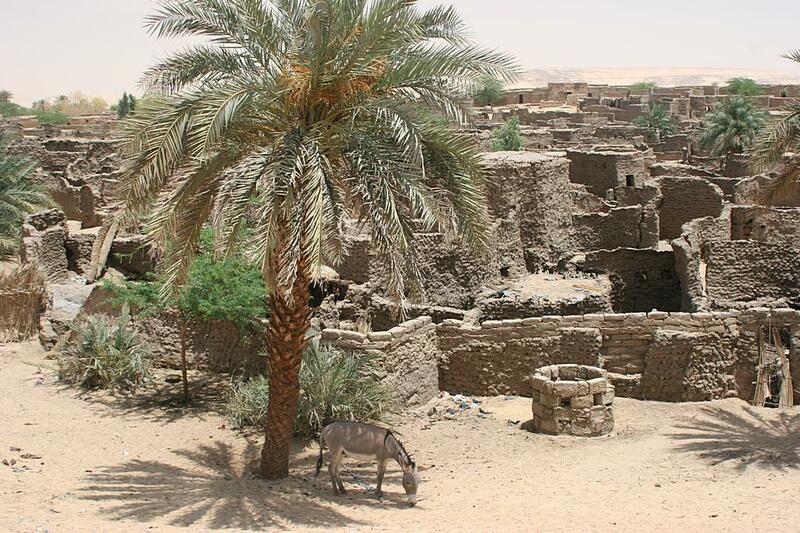 We were now approaching Bilma and first passed through some other oasis towns. 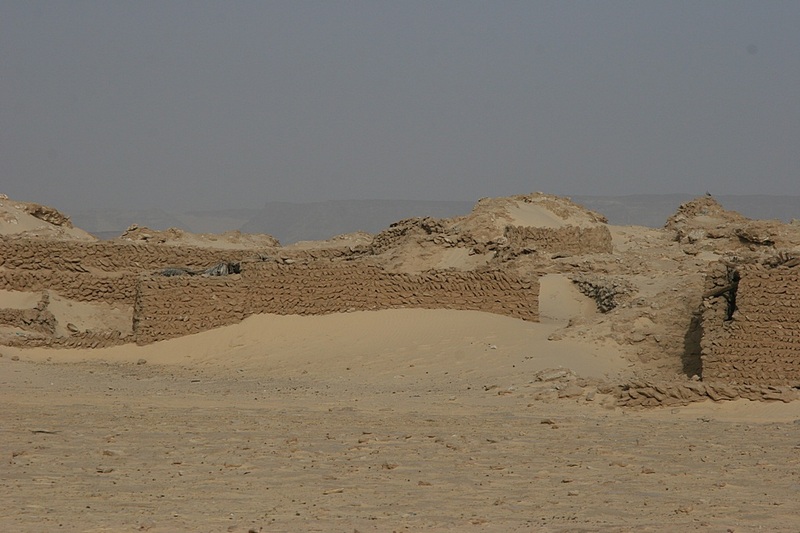 Fachi is almost a ghost town although there still exists the remains of a dense mediaeval settlement. 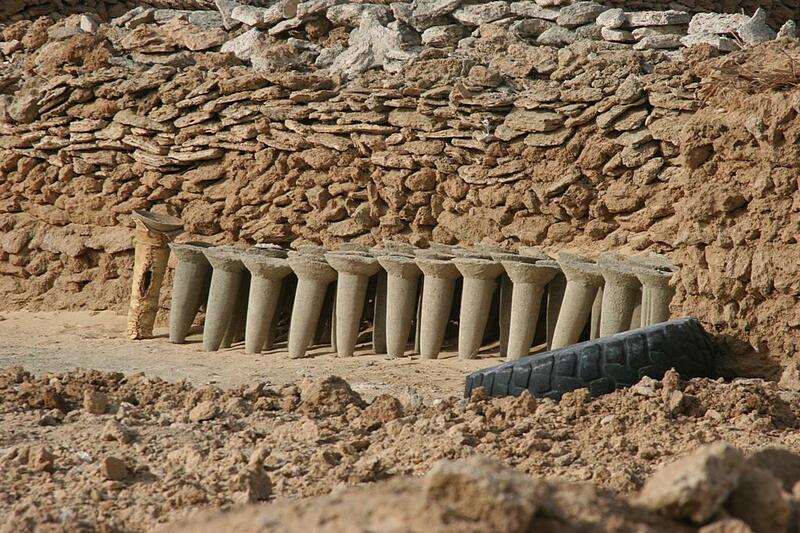 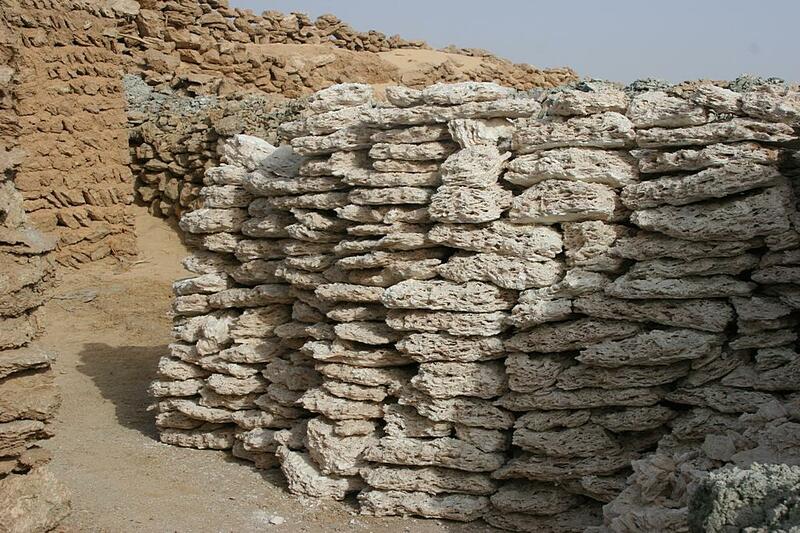 Sand and camel dung houses built close together for reasons of security have now been abandoned. 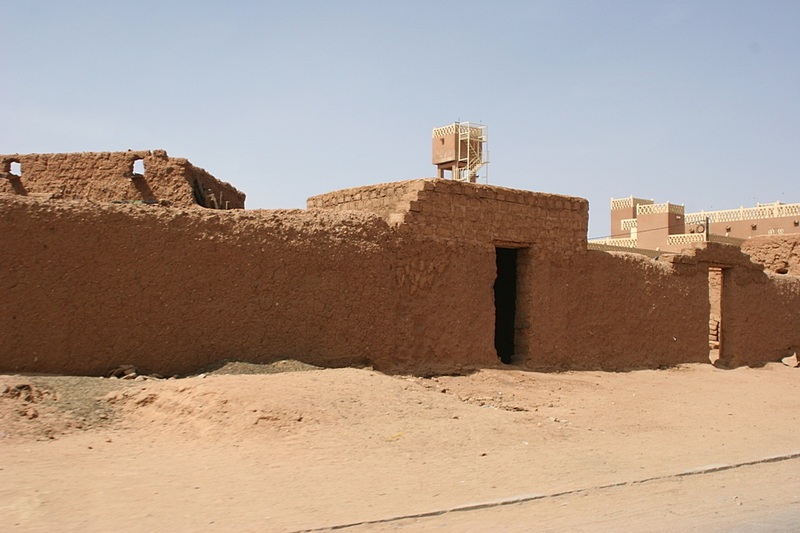 Bilma is a large oasis town (about 10,000 inhabitants) which occupies an important position being at a cross roads of two main routes through the Sahara. 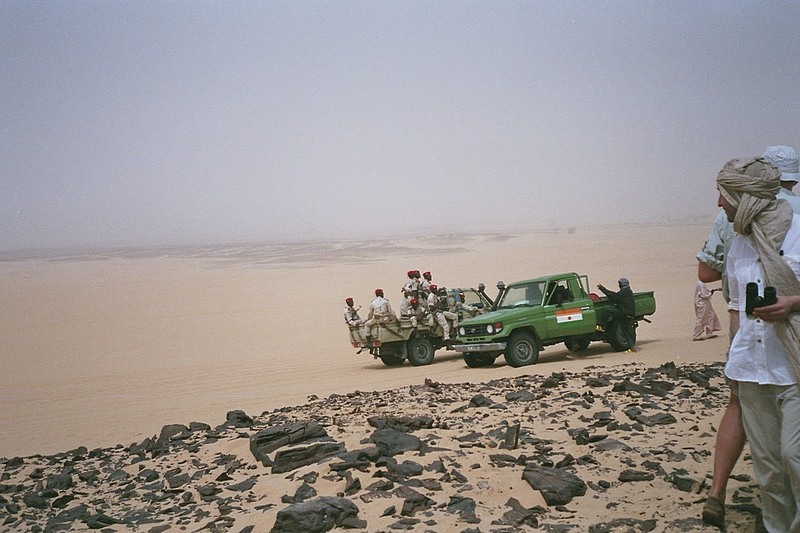 One is the North-South route from Libya to Nigeria and the other is the East-West route from Algeria and Mali through Niger to Chad and the Sudan. 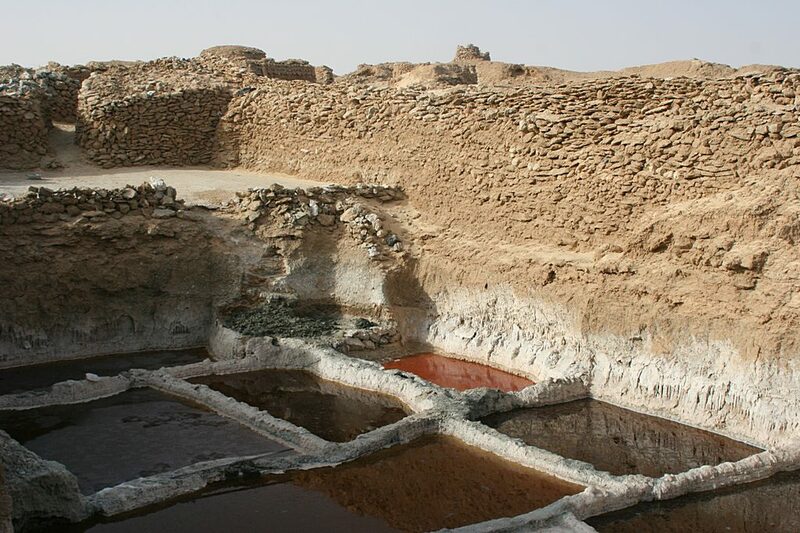 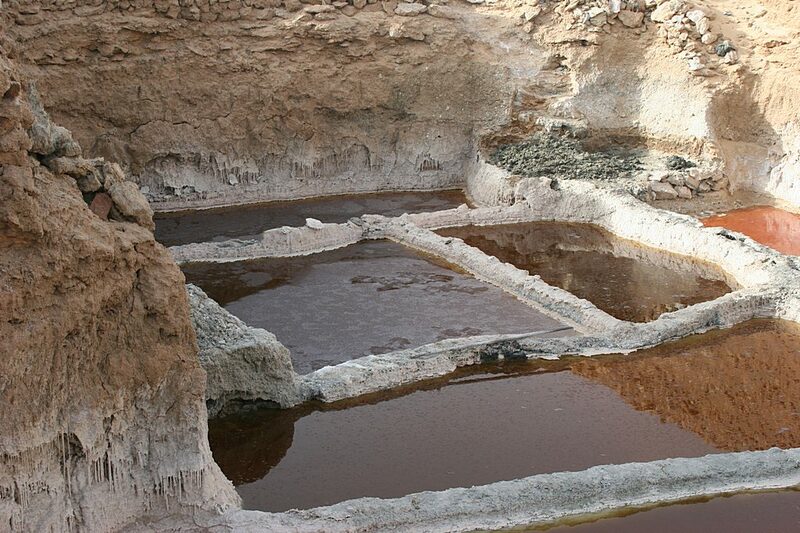 There is evidence that there was once a great sea here and high quality salt is obtained by digging trenches which quickly fill with subterranean water. 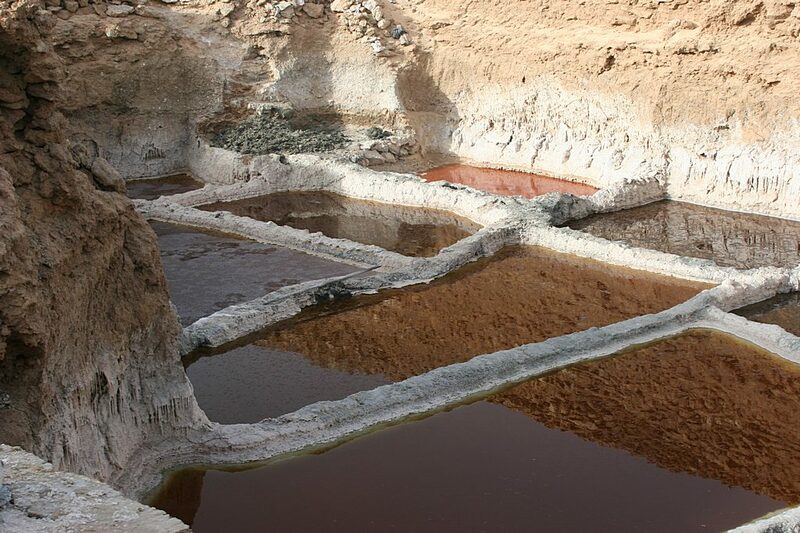 As this evaporates, salt crystallizes on the surface and the remaining brine is dried to produce bricks of salt used maily for animal feeds. 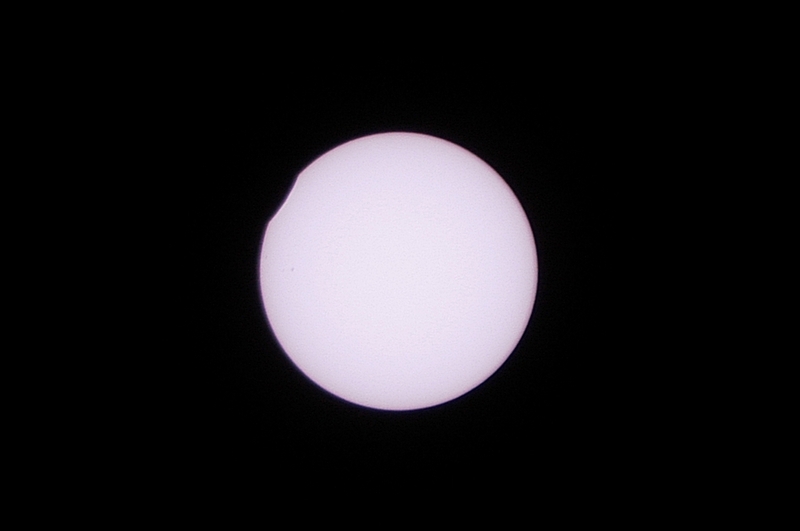 The day before the eclipse (28th March 2006) which is George's 30th birthday, was spent in selecting a suitable viewing site for the eclipse. 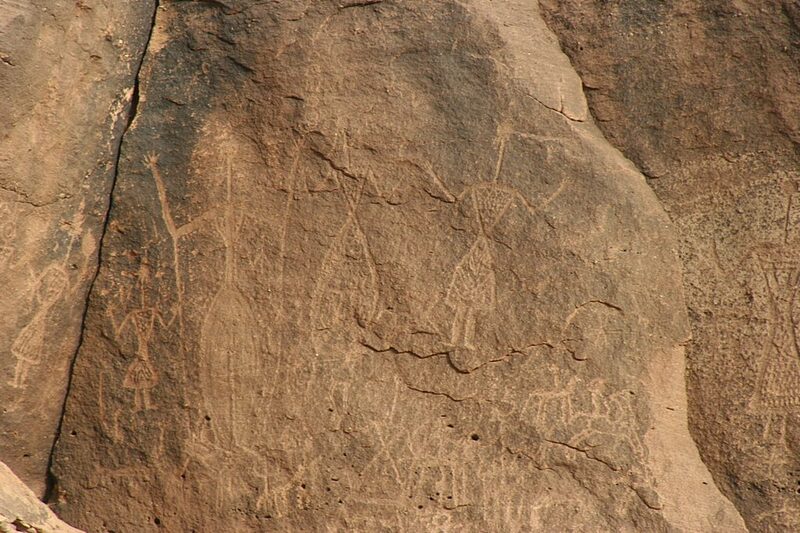 This would be a few miles away from Bilma and we used our GPS systems to ensure that we were on the centre line. 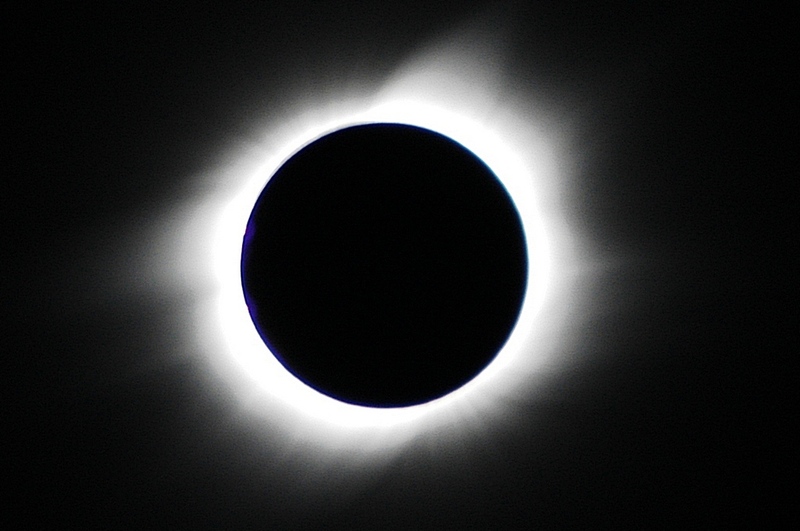 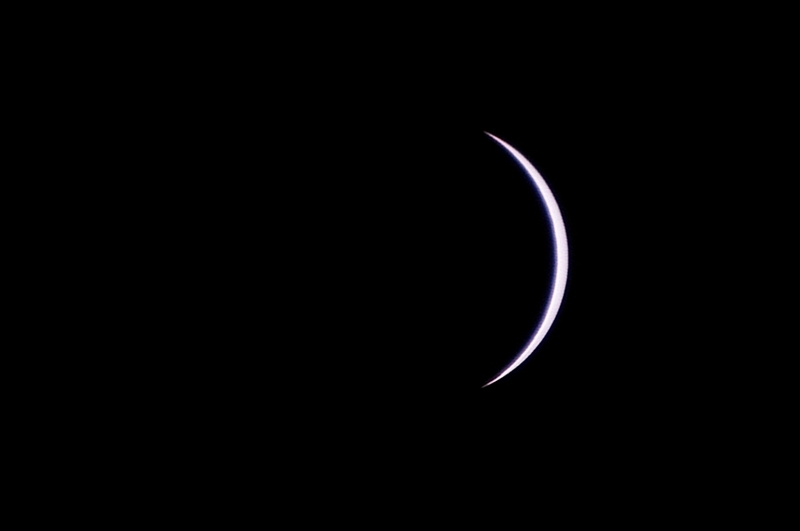 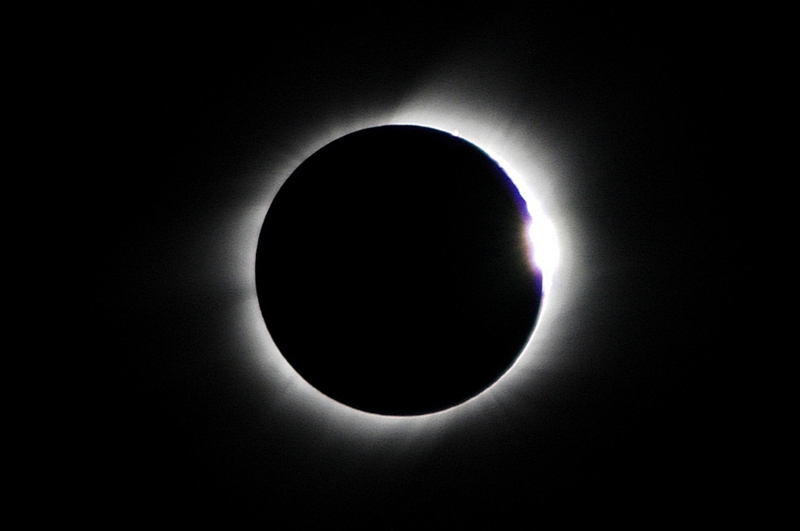 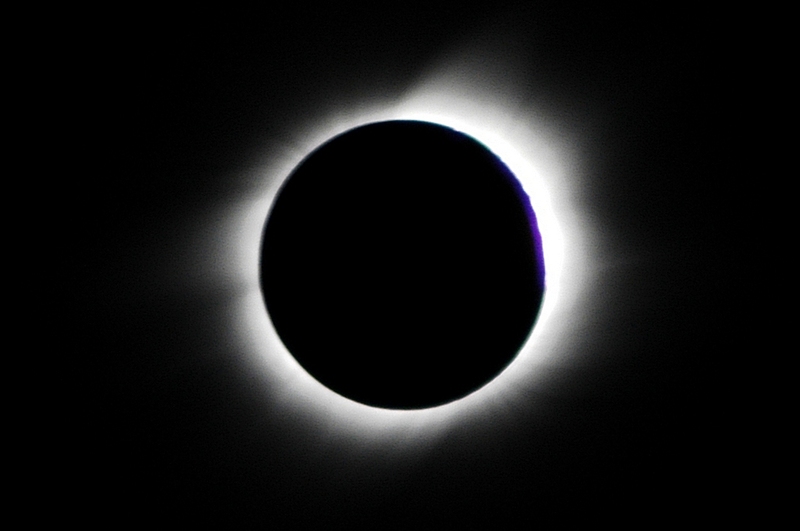 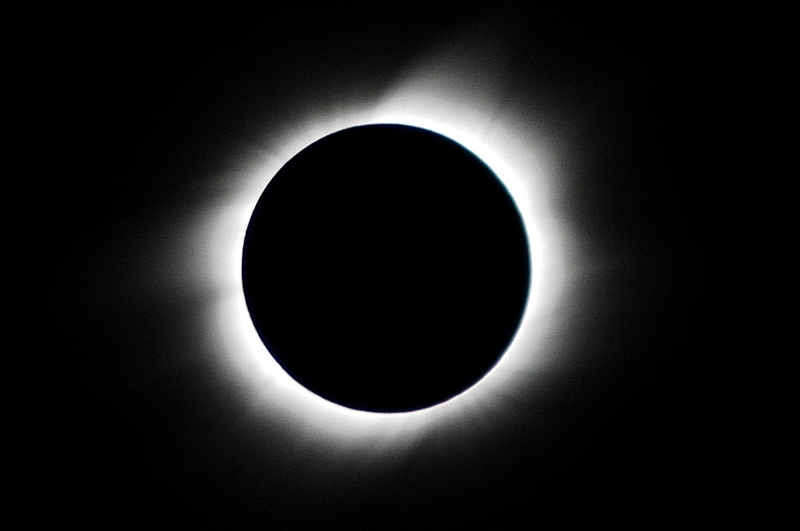 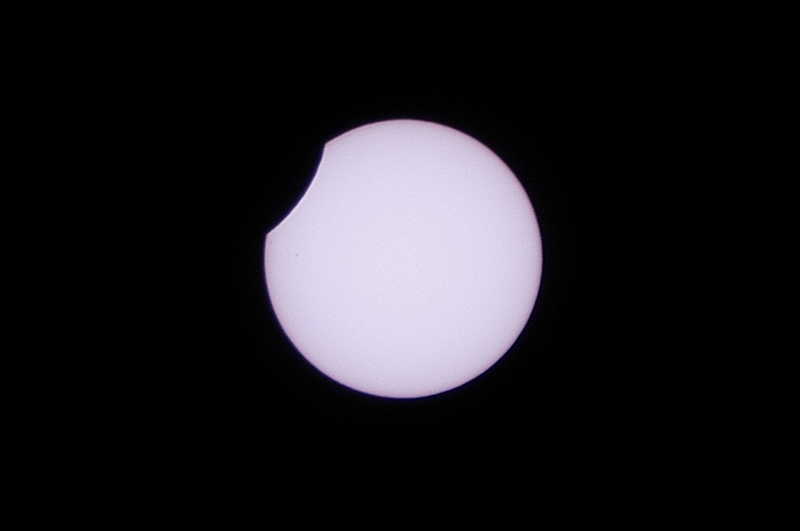 The period of totality (when the sun is totally obscured by the moon) would be in excess of 4 minutes. We set up our campsite (rocky - to minimise the risk of a sandstorm), checked our photographic equipment and viewing glasses and went to bed full of anticipation for the following day's spectacle. 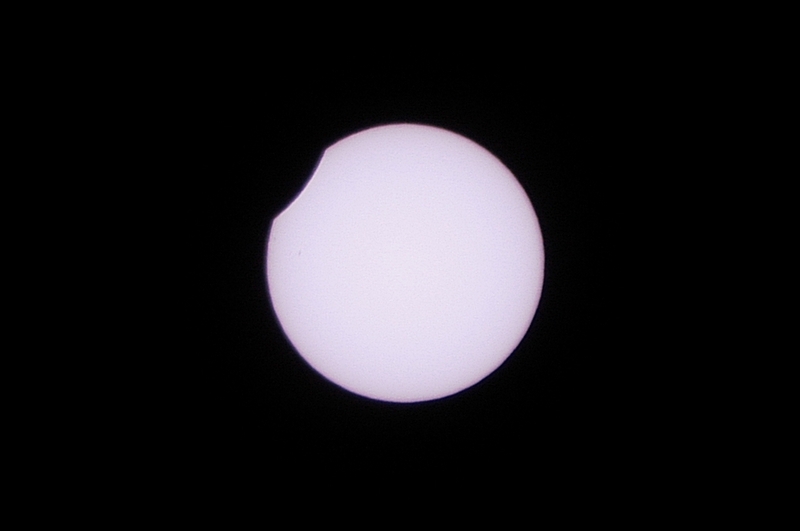 As dawn broke - disaster! 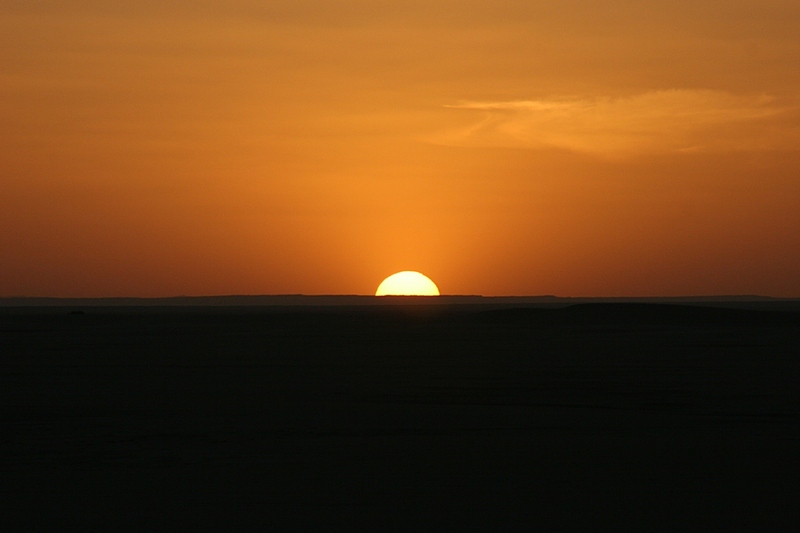 There had been a sandstorm during the night and the horizon, and the rising sun were obscured by a yellowish mist. 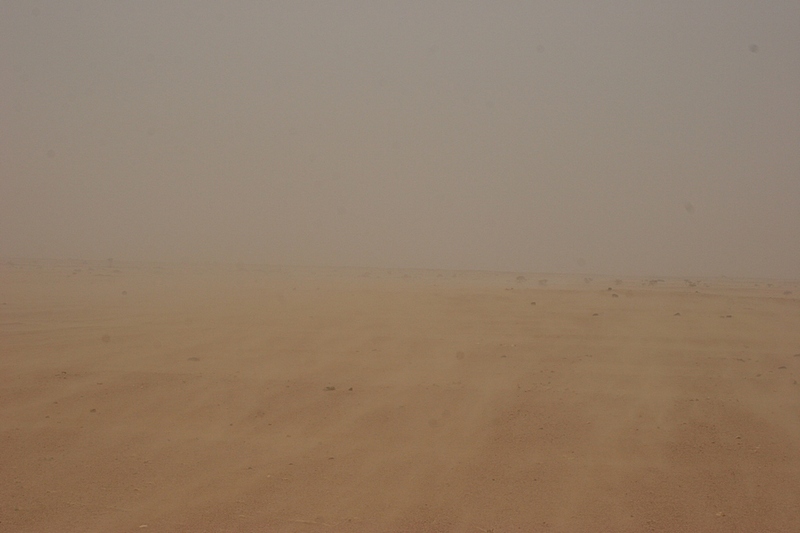 We are devastated but Harry, our metereological expert, assured us that by late morning the sky would be clear. 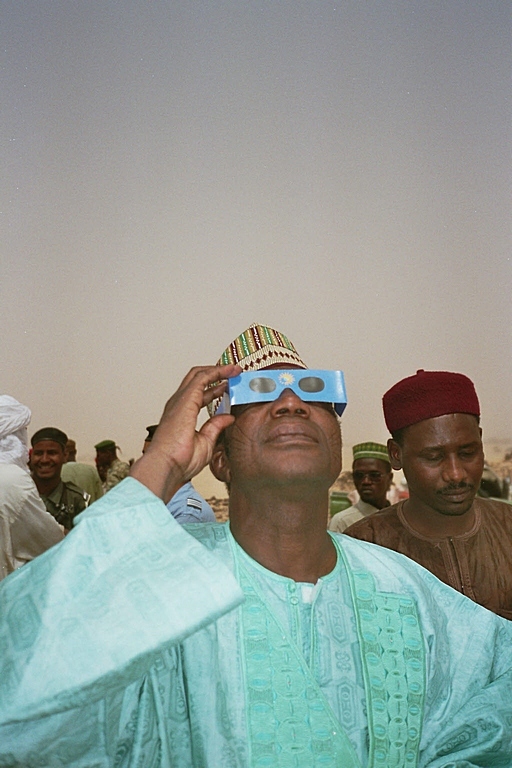 We would have to hope he was right - but at that moment there was a diversion! 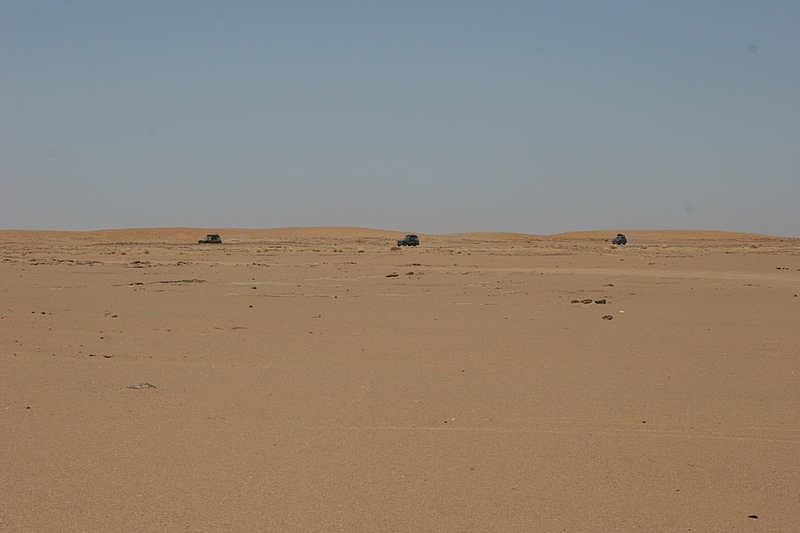 Armed guards arrive at the head of a small motorcade of official looking vehicles. 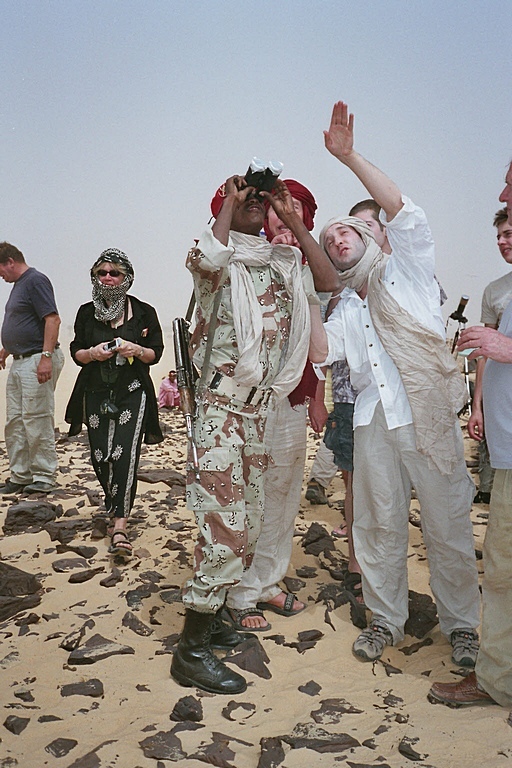 We were visted by a deputation of ministers from the Niger government who shared our viewing site and sought our assistance. 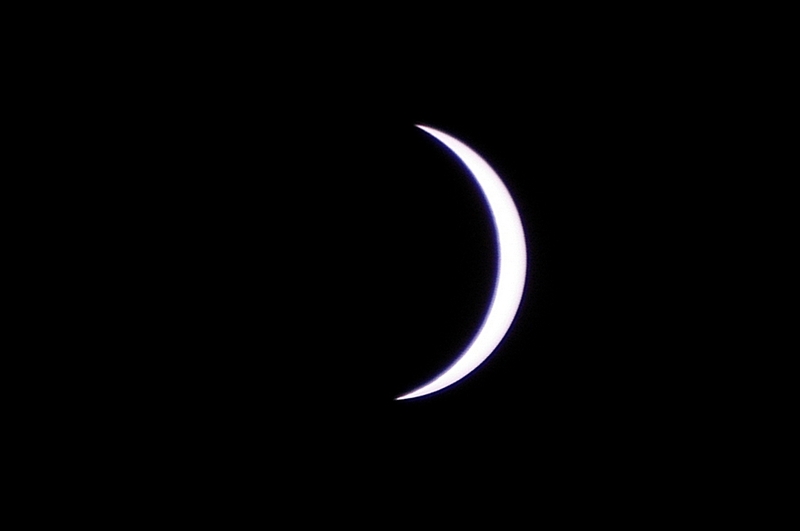 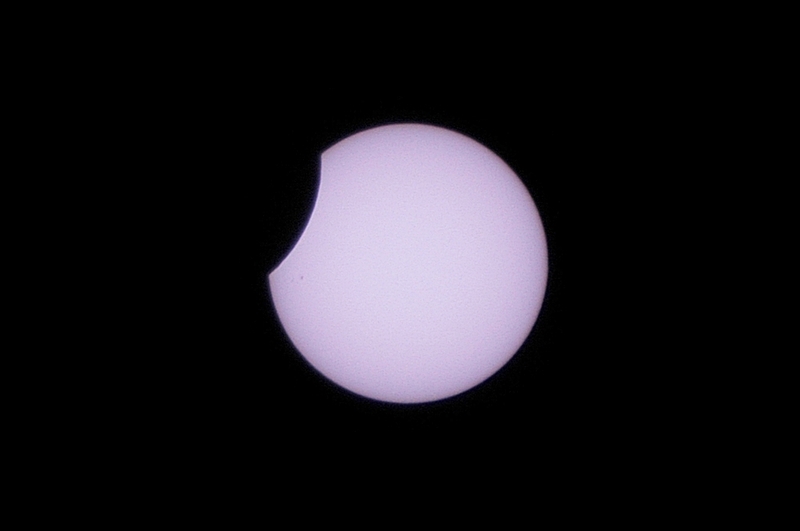 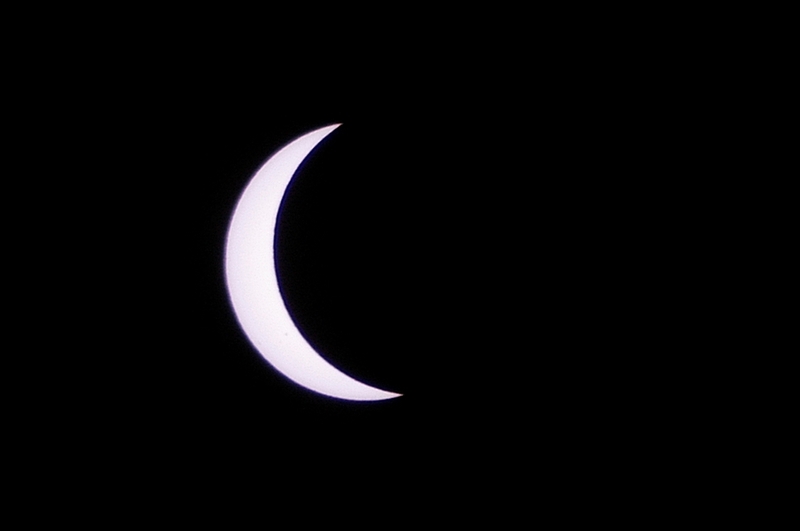 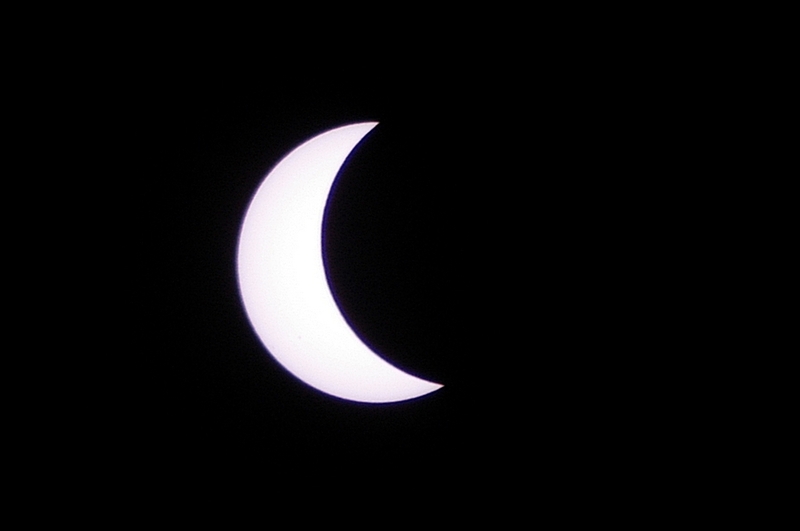 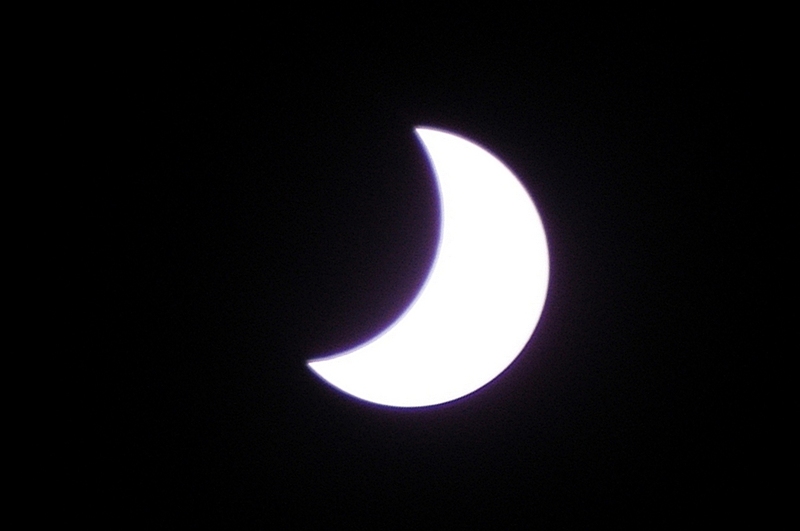 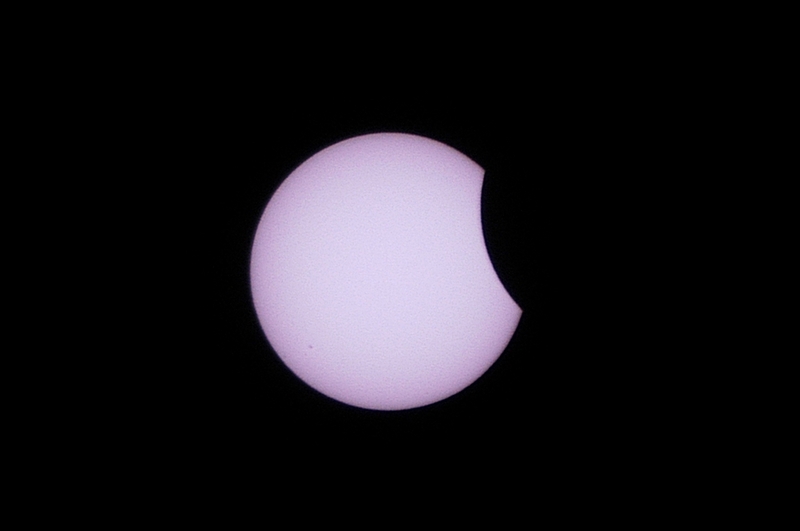 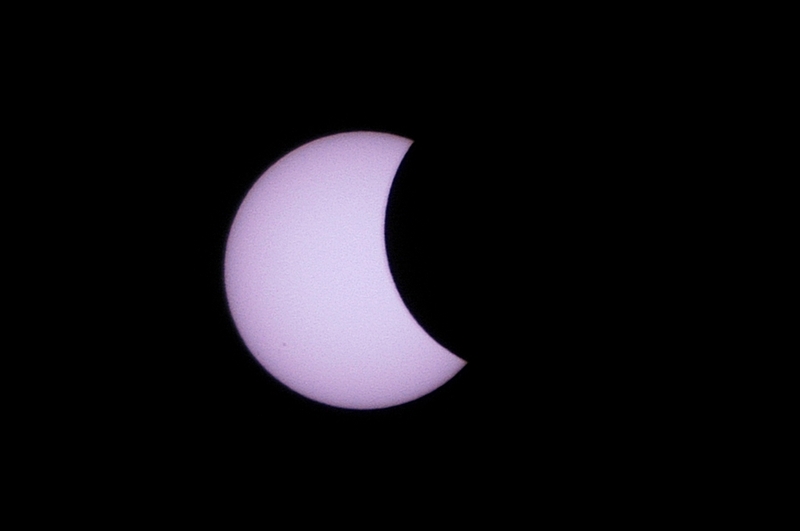 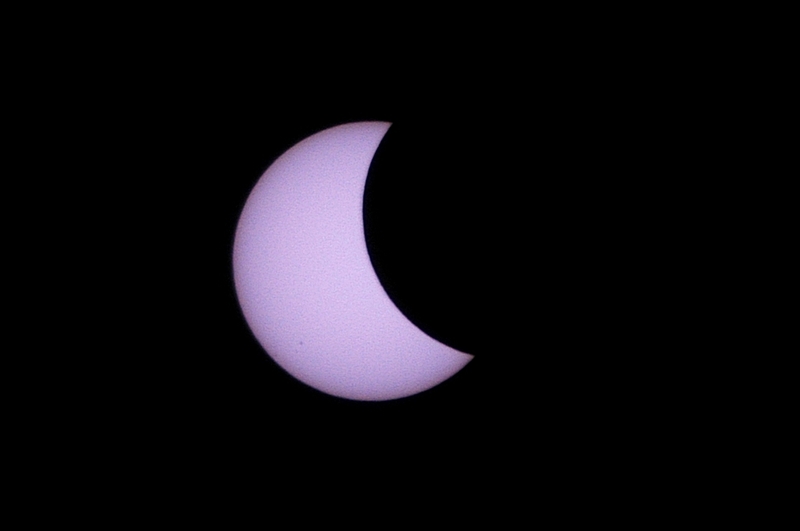 The partial phase of the eclipse commenced at about 8.45 AM by which time the sky was clear and a good view of the sun was available. 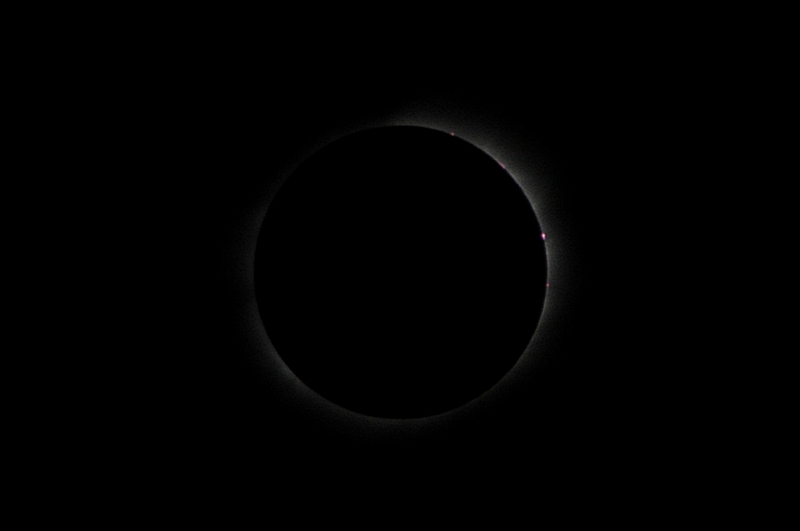 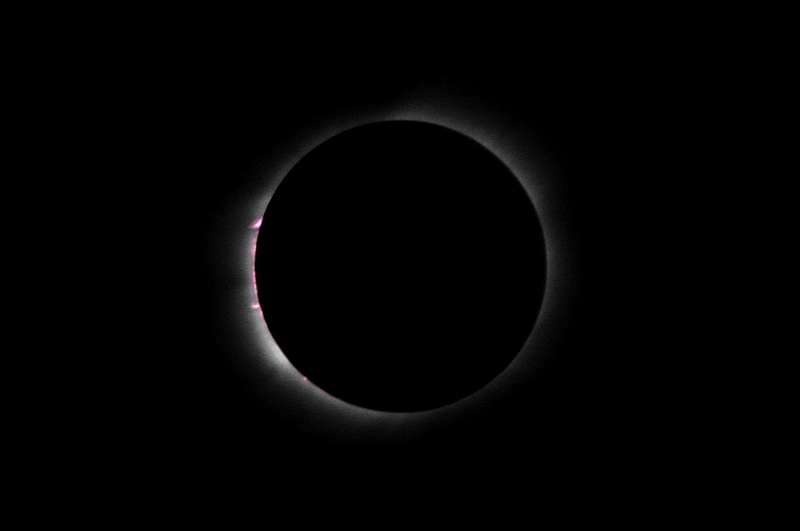 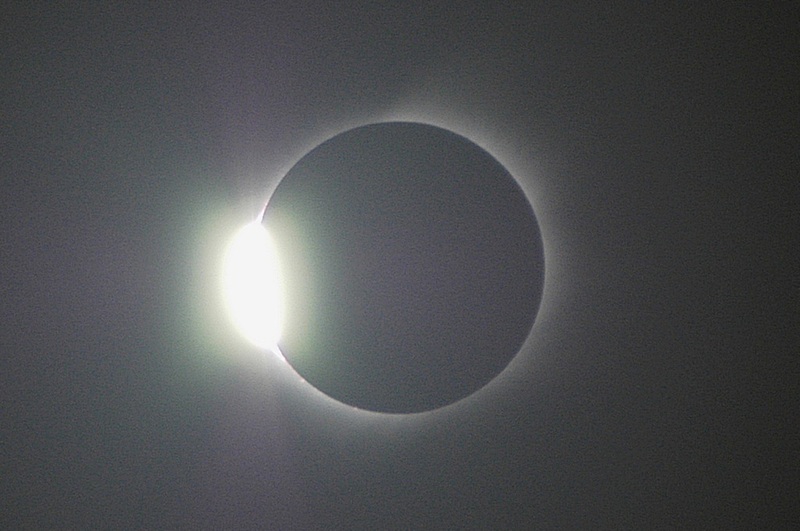 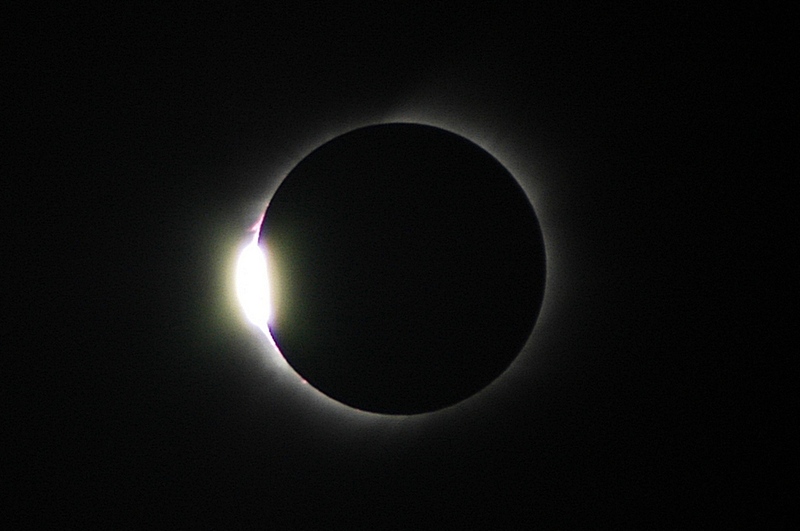 These superb pictures of the eclipse including the diamond ring, Bailey's beads, solar prominences and a superb corona were taken by Reineke Otten and I thank her for freely giving them to me after my own equipment failure on the morning of the eclipse. 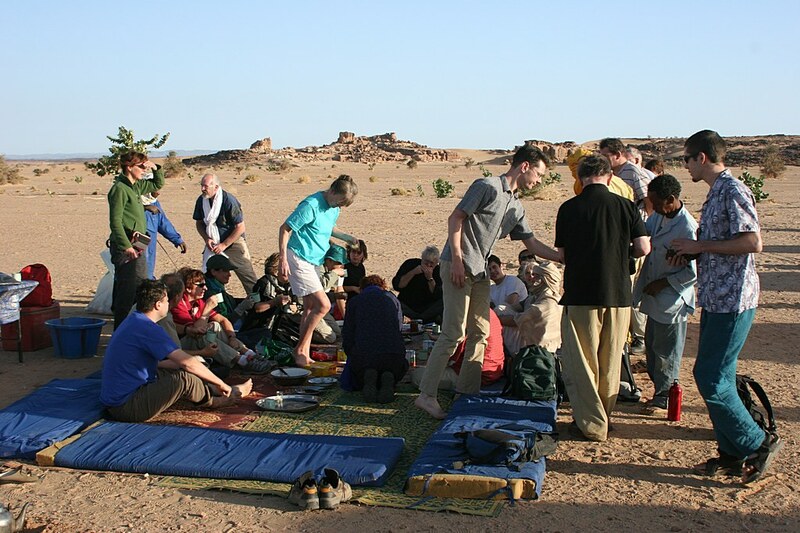 Champagne was opened and congratulations offered all round. 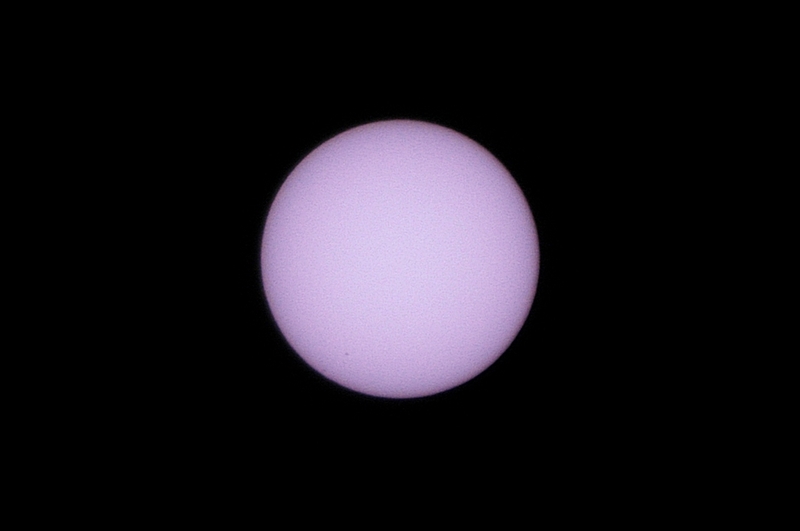 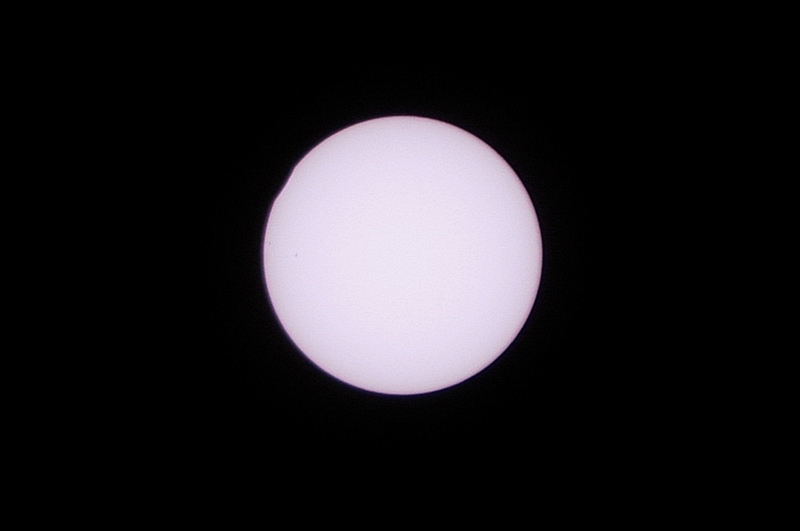 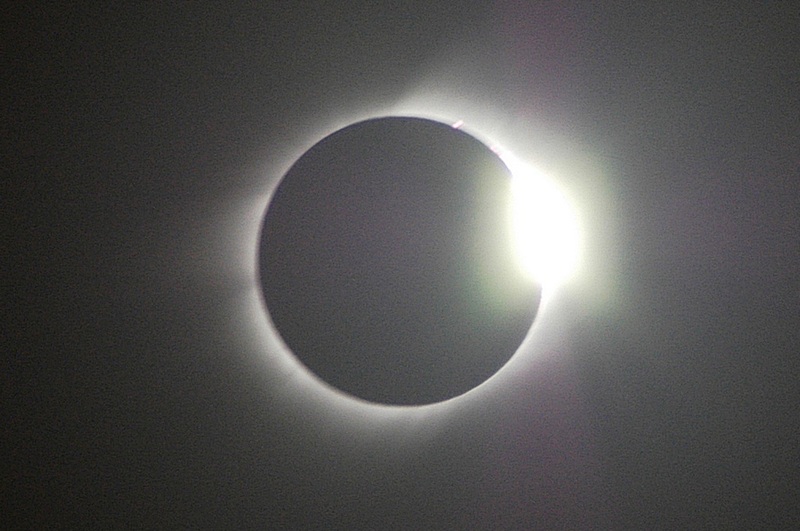 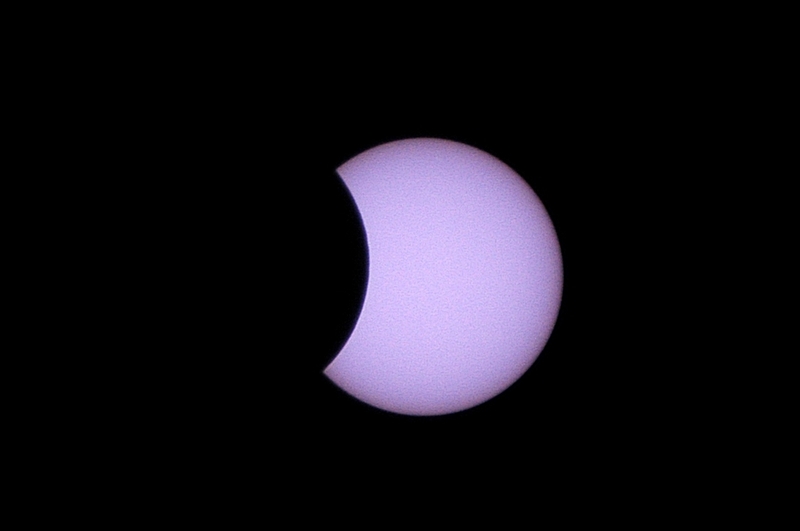 The next total eclipse of the sun will be in August 2008.